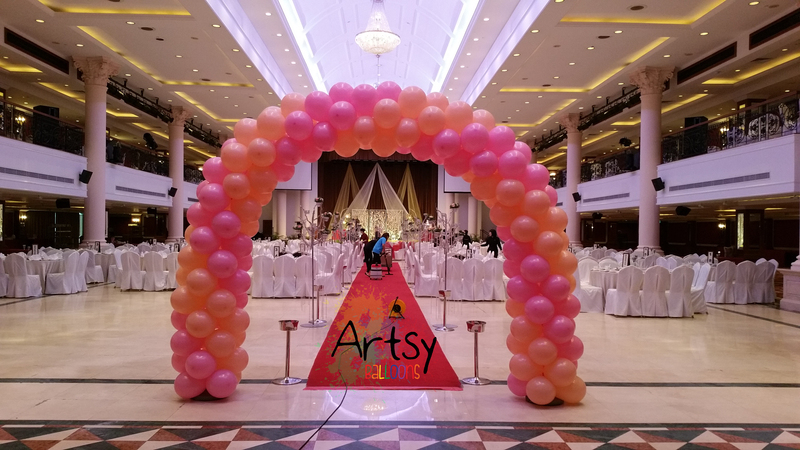 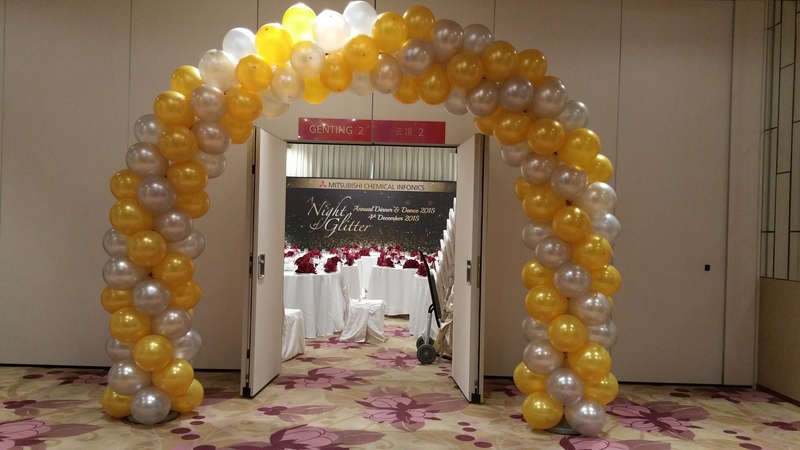 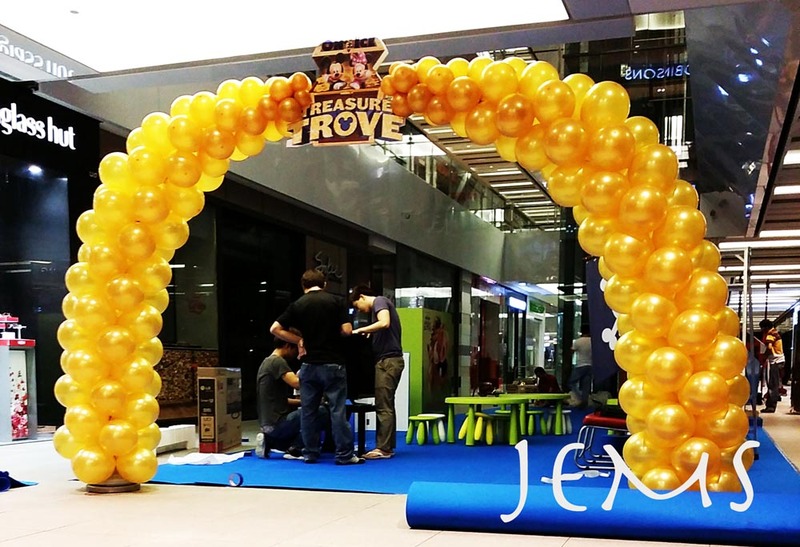 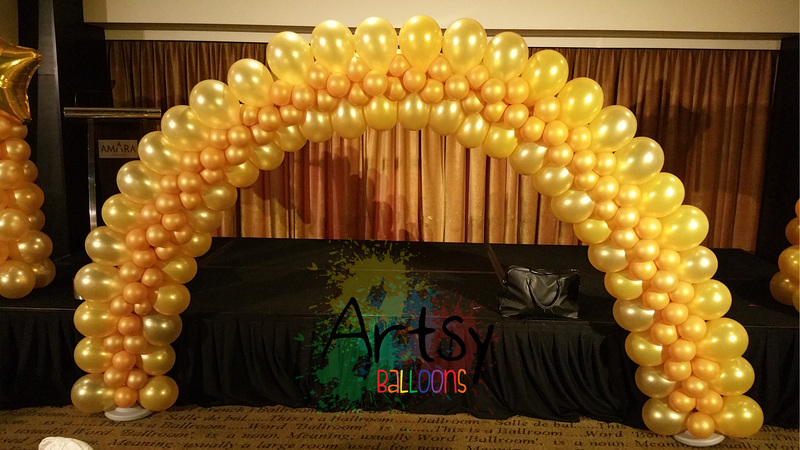 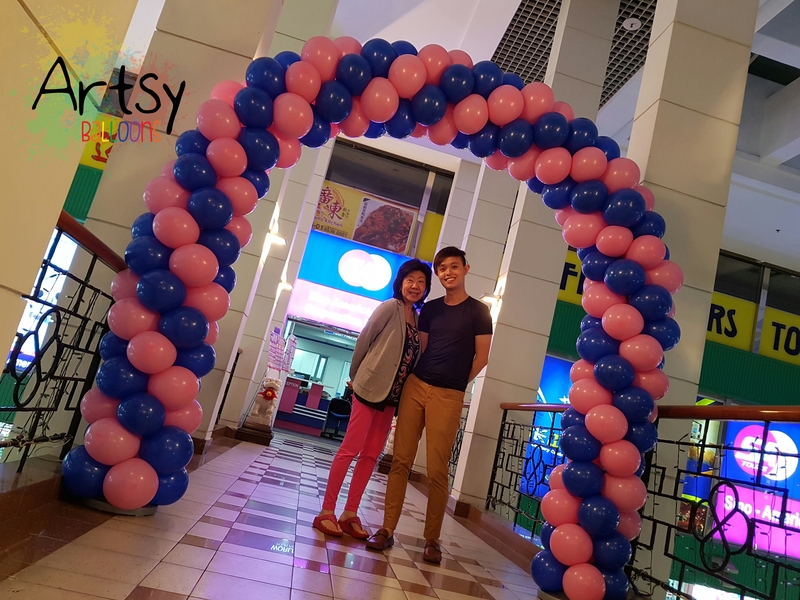 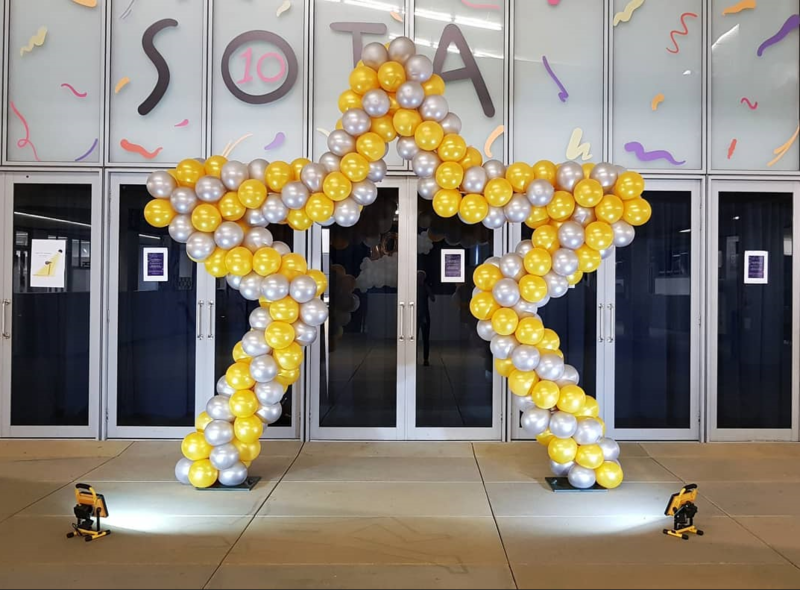 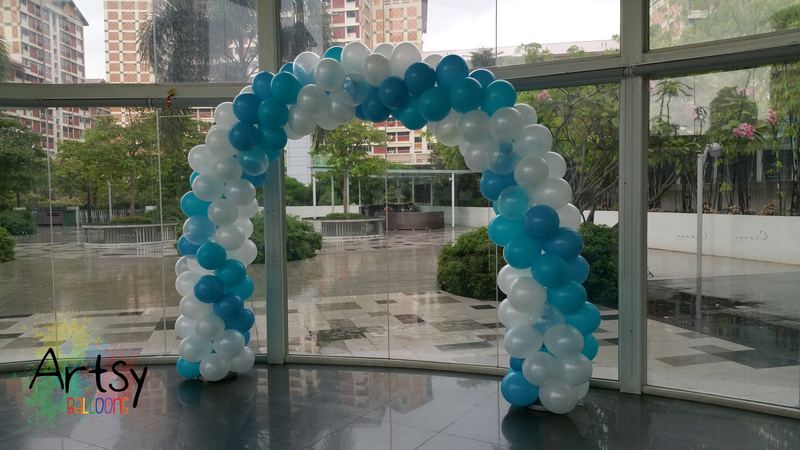 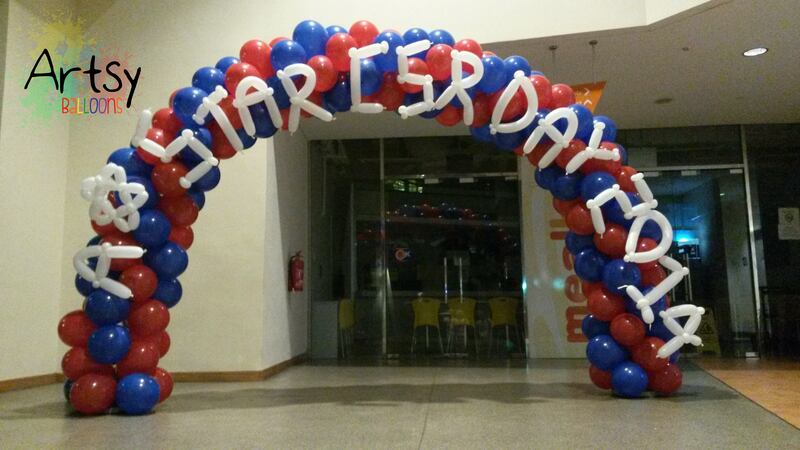 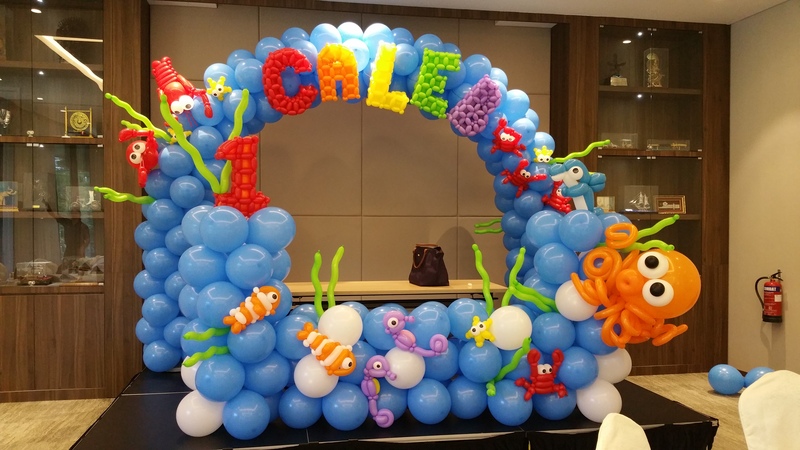 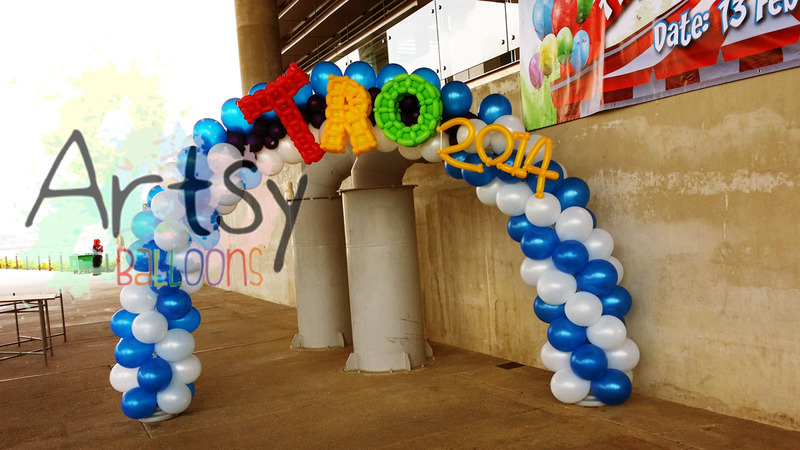 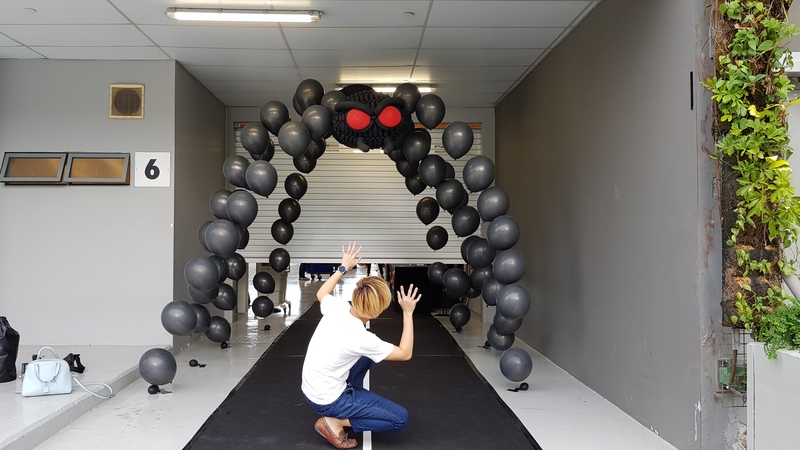 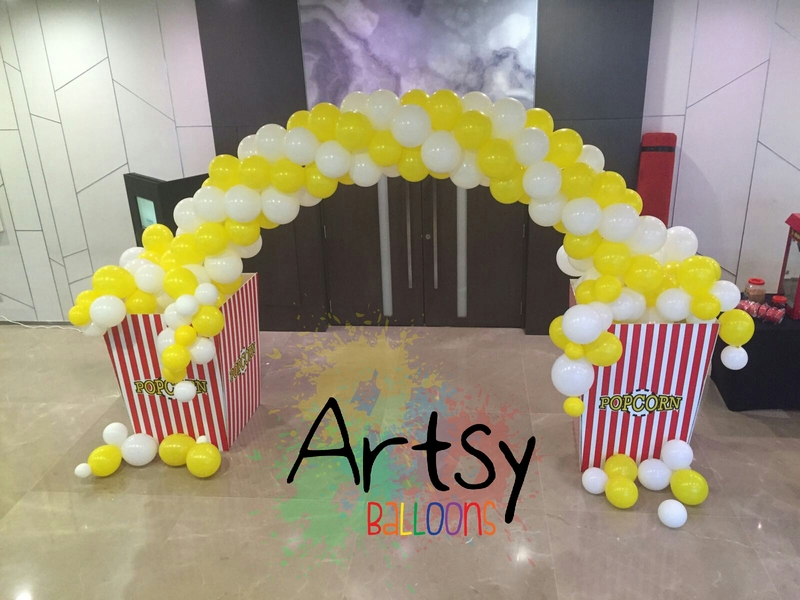 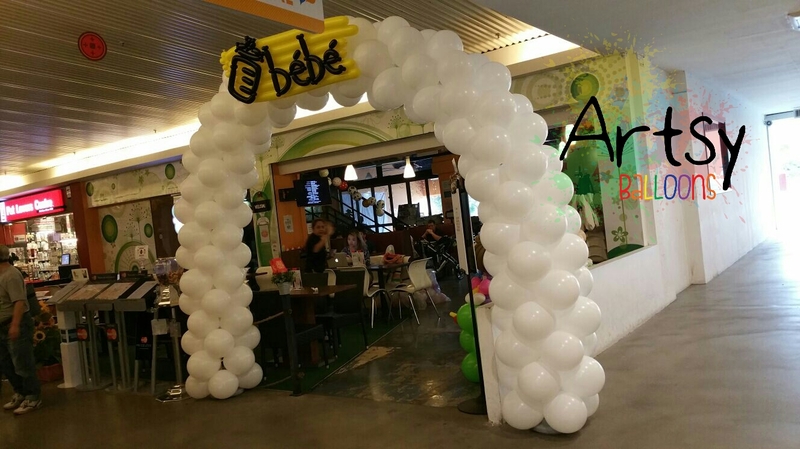 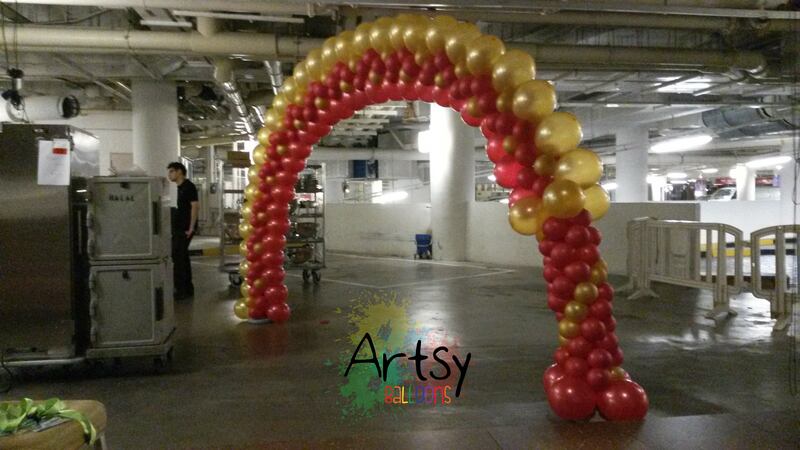 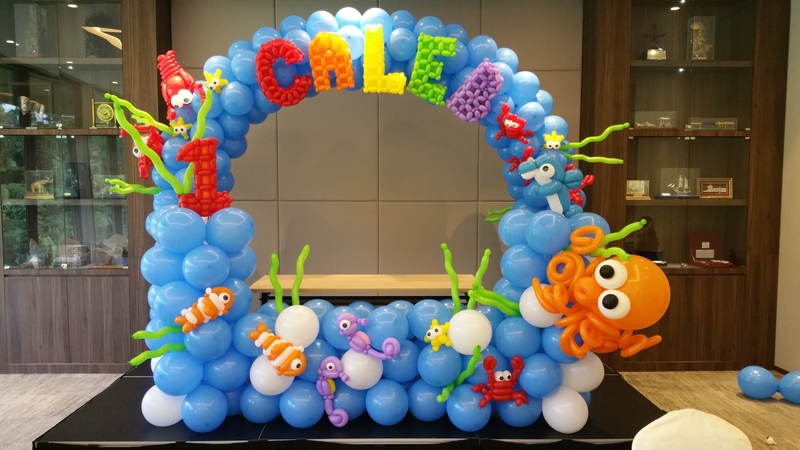 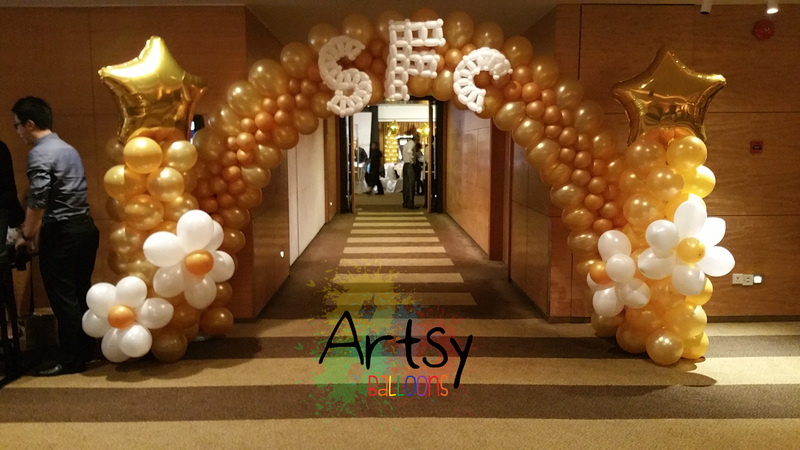 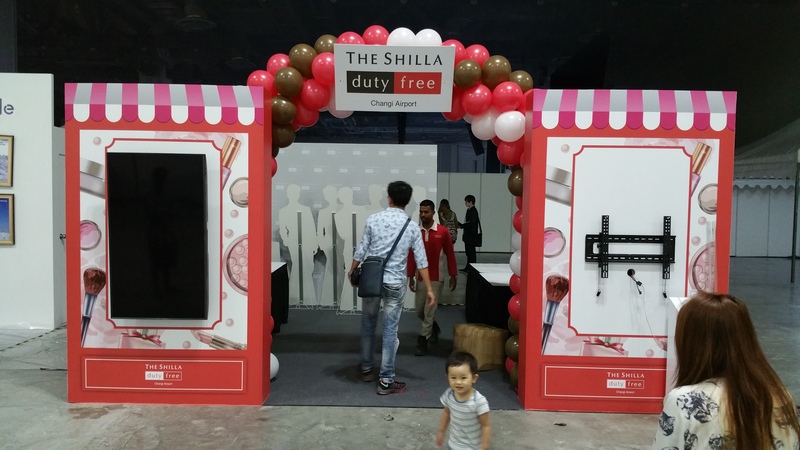 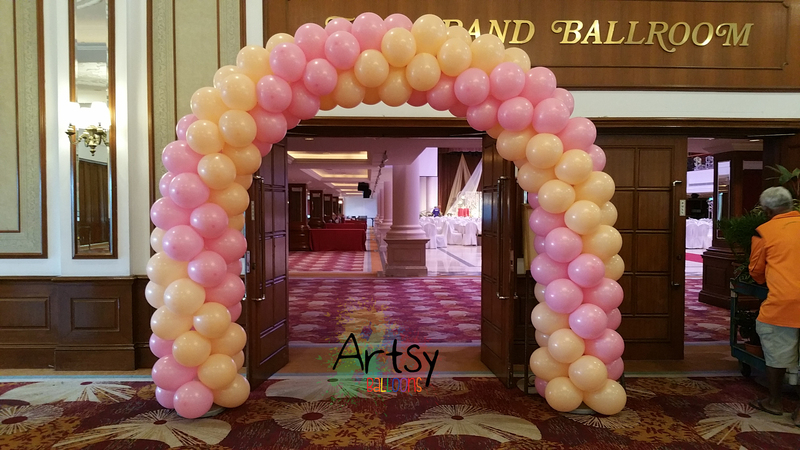 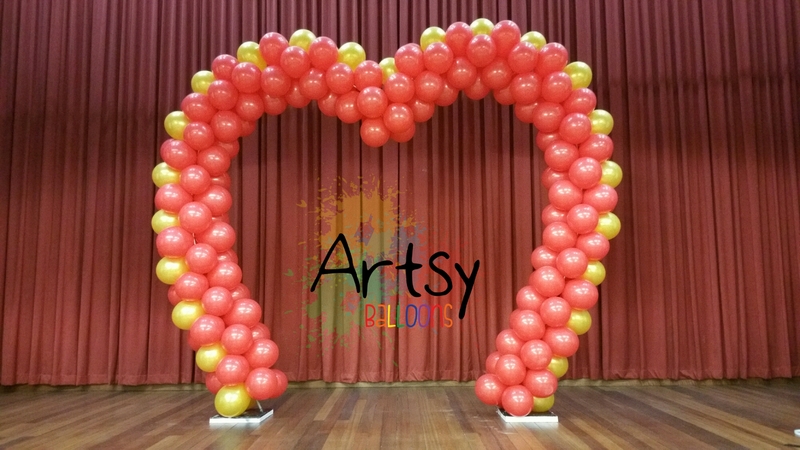 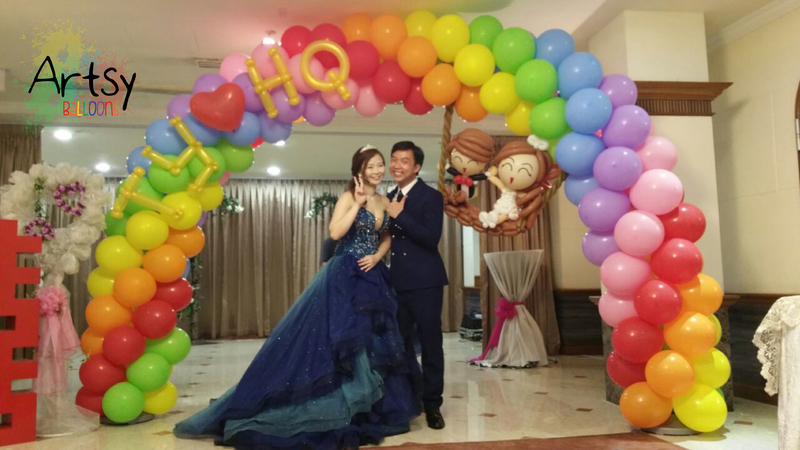 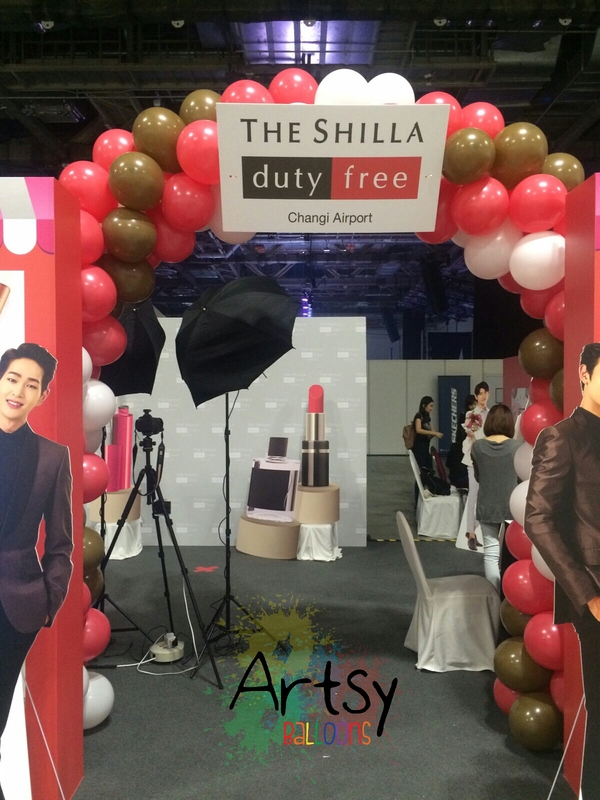 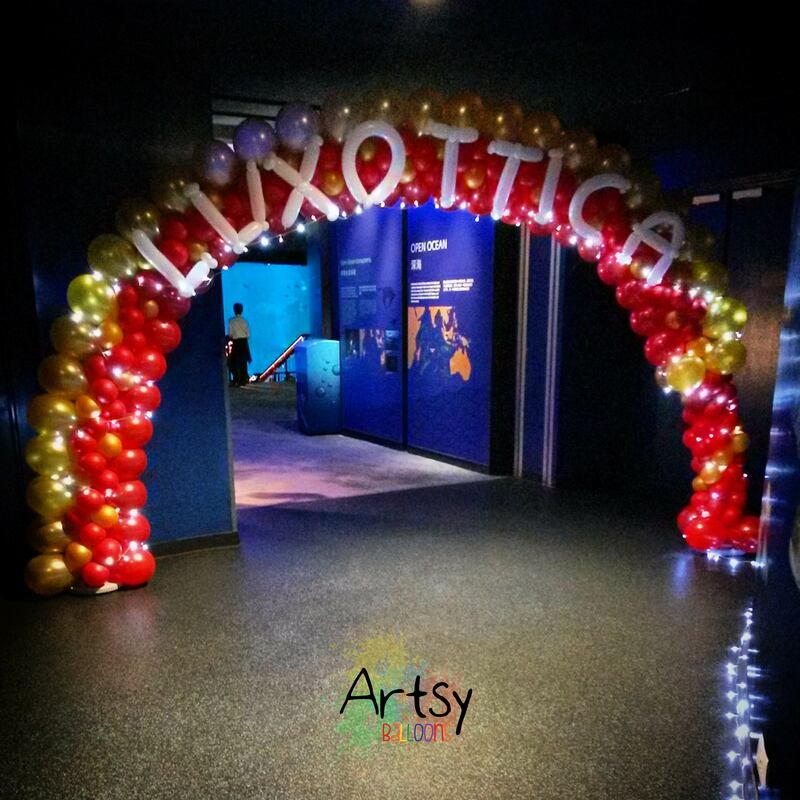 Balloon arches are one of the best ways to tell your guests, “Hey! 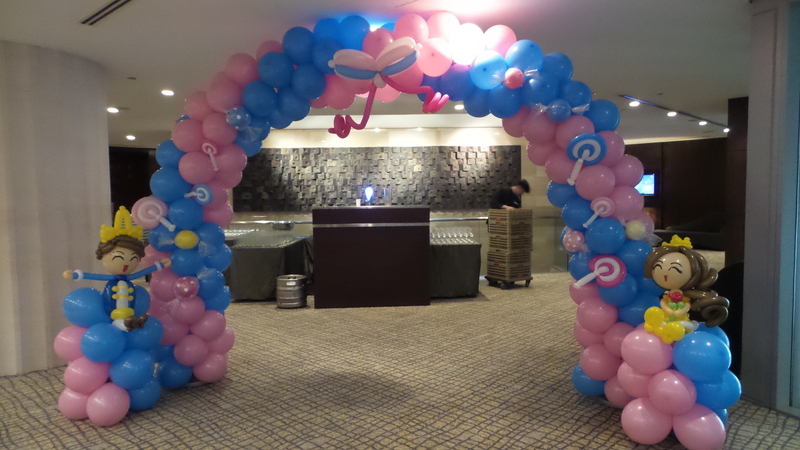 The party’s here! 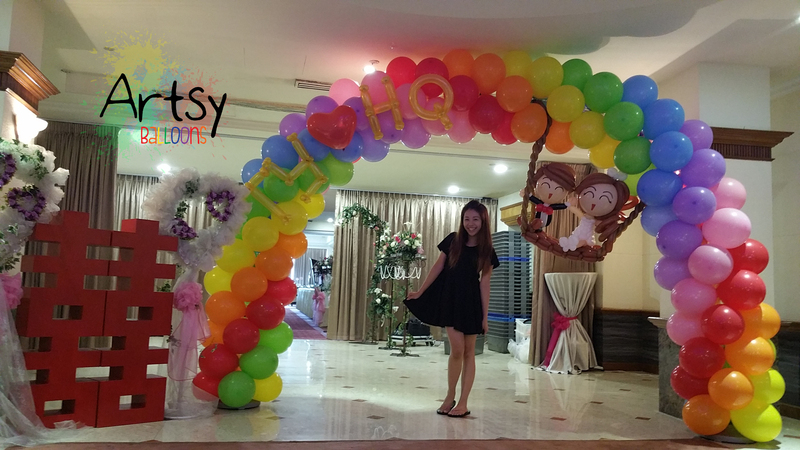 Come on in!” It also serves as a great backdrop for your guests and your special one to take a photo together for memory sake. 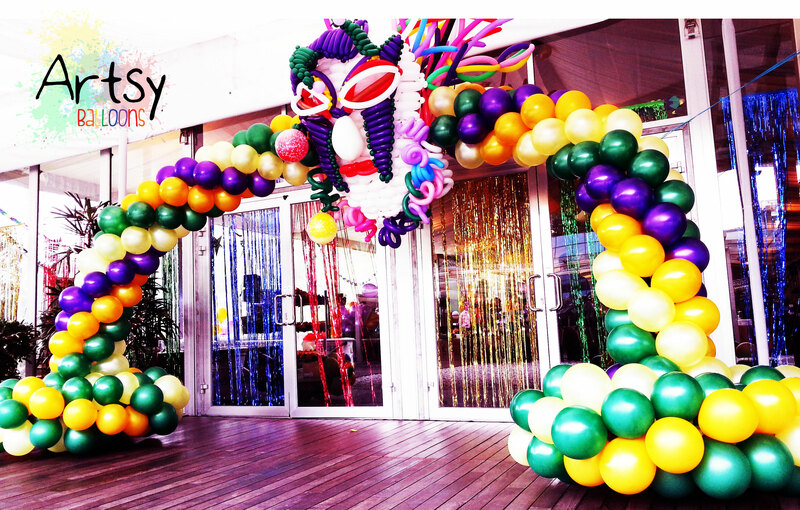 Call in today to ask more about the customisation and availability! 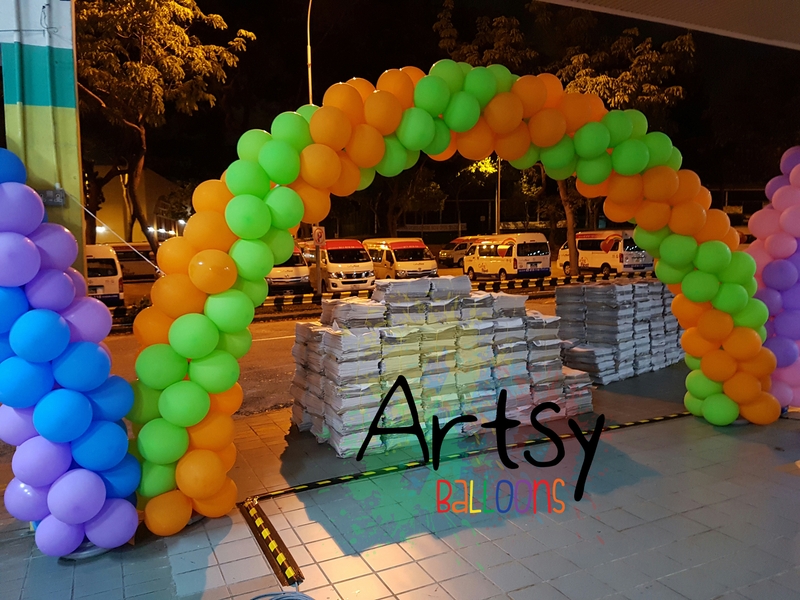 PRICE IS INCLUSIVE OF SET UP, TEAR DOWN, MATERIALS, TRANSPORT AND MANPOWER. 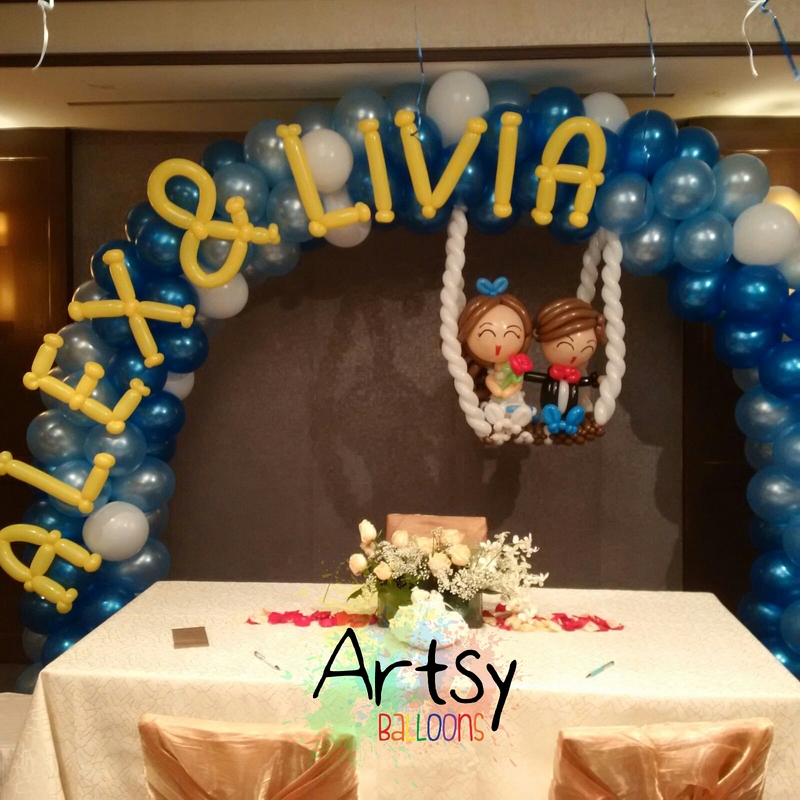 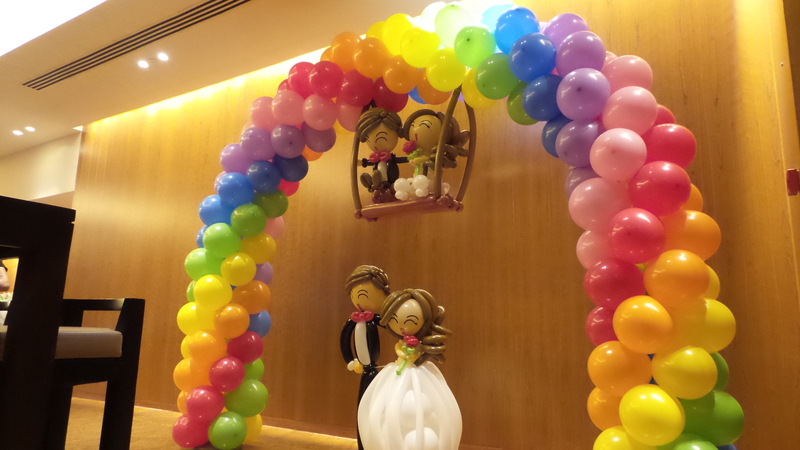 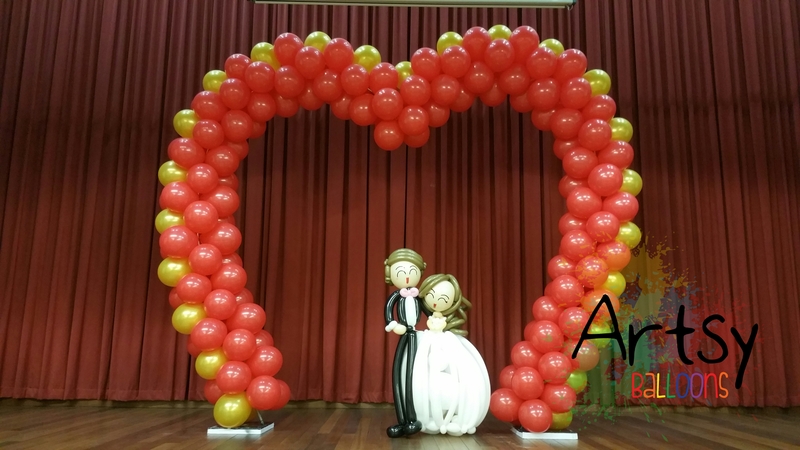 Wedding balloon arch with wedding couple on swing! 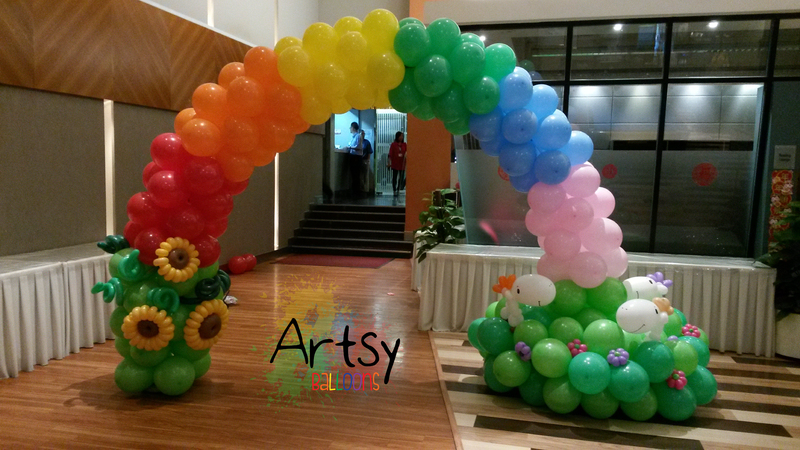 Classic columns by the sides, with colourful spiral balloons arch with 4 large animals on the top. 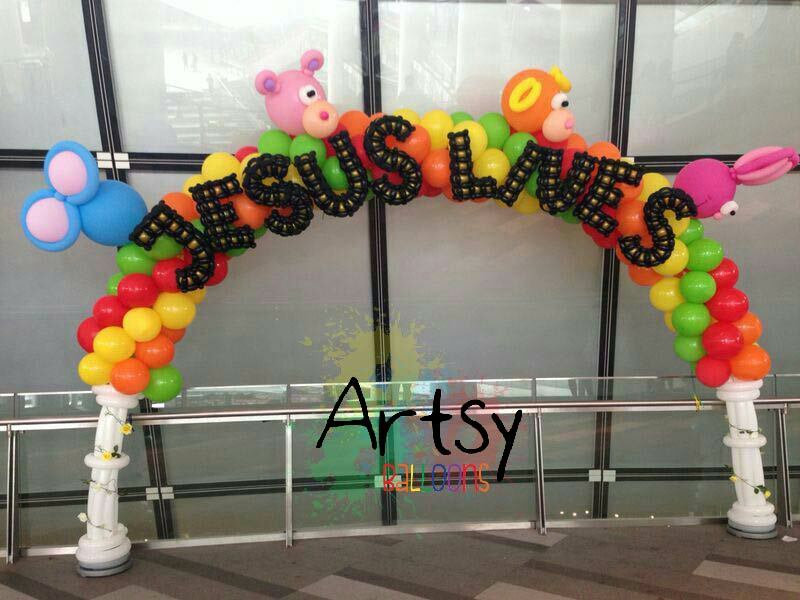 Lastly with “JESUS LIVES” advance alphabet letterings. 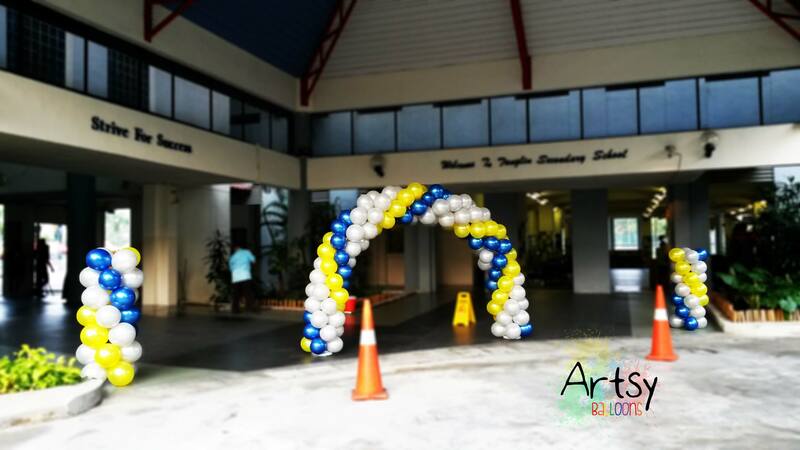 After the LED lights are turned on! 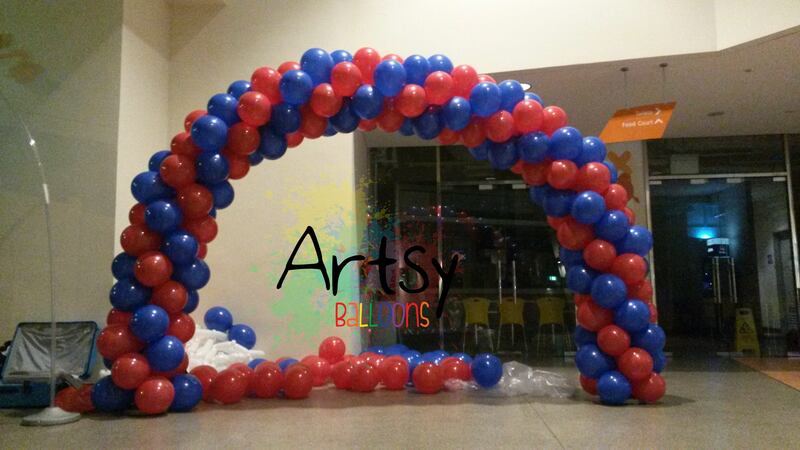 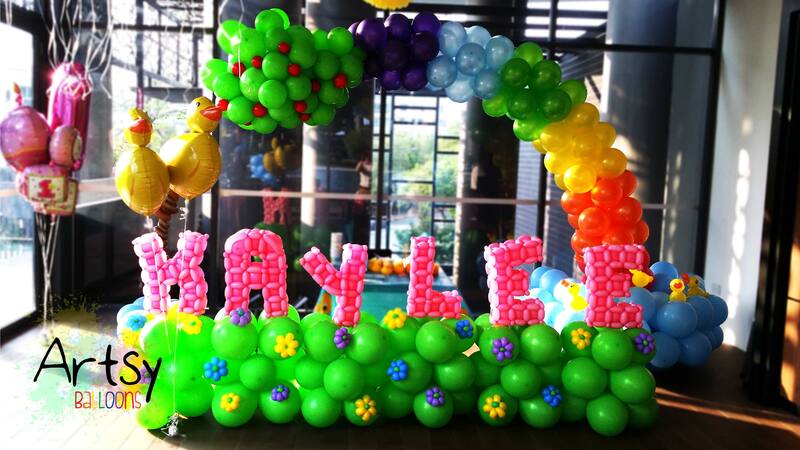 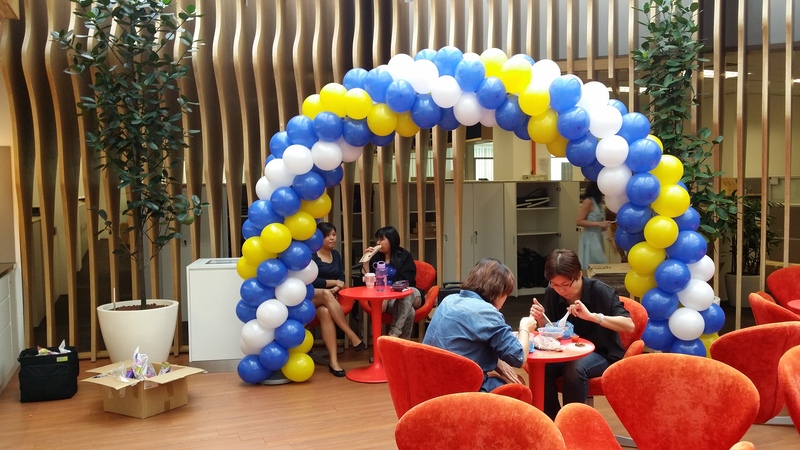 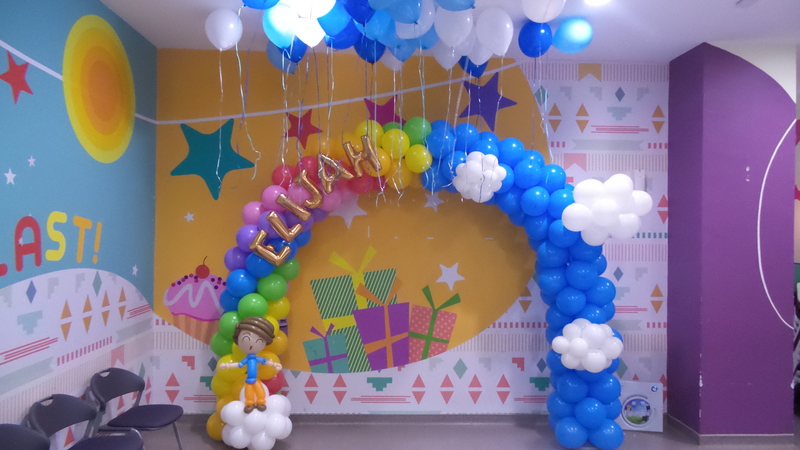 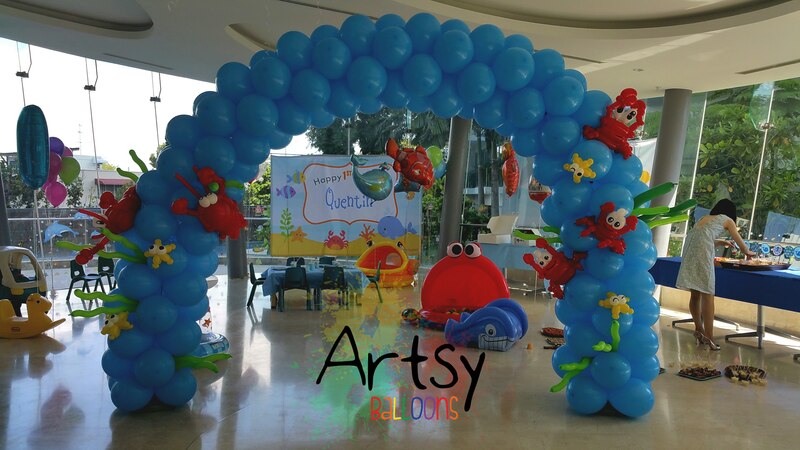 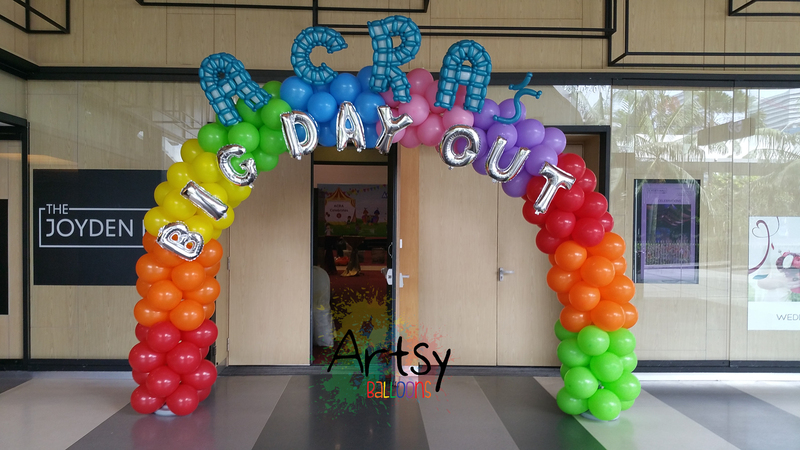 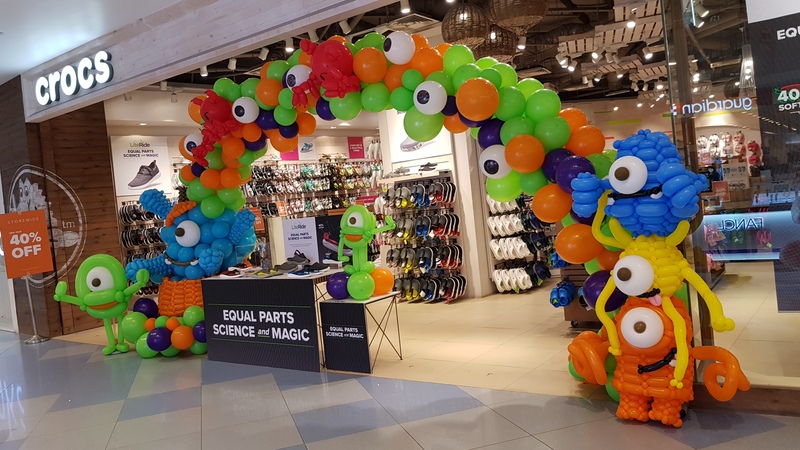 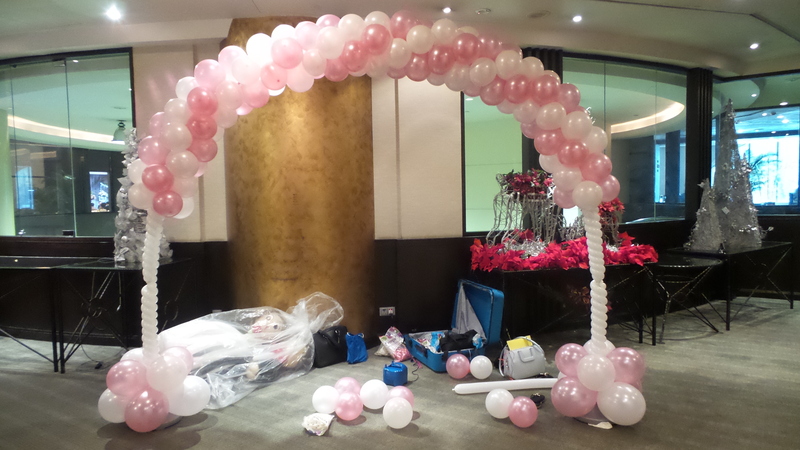 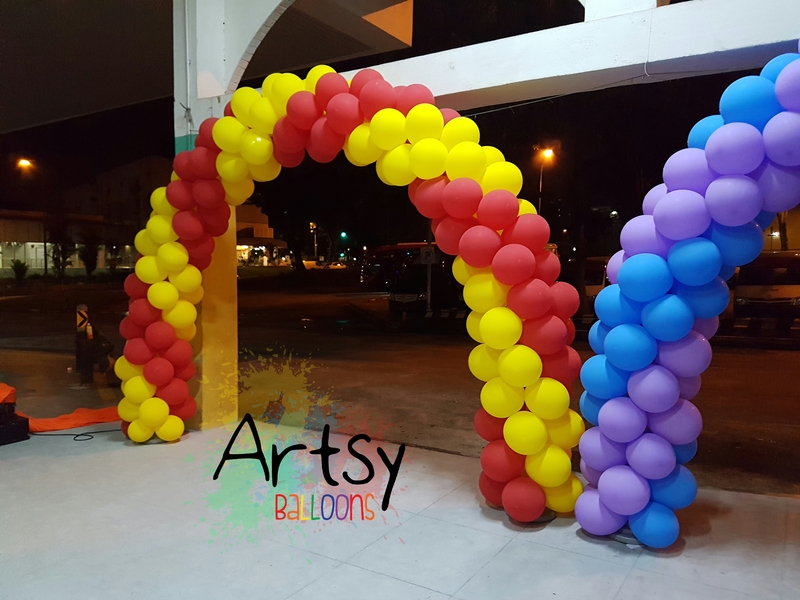 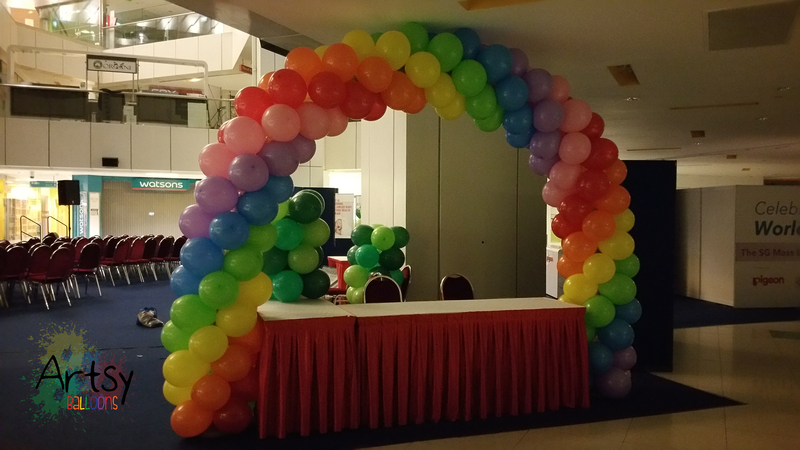 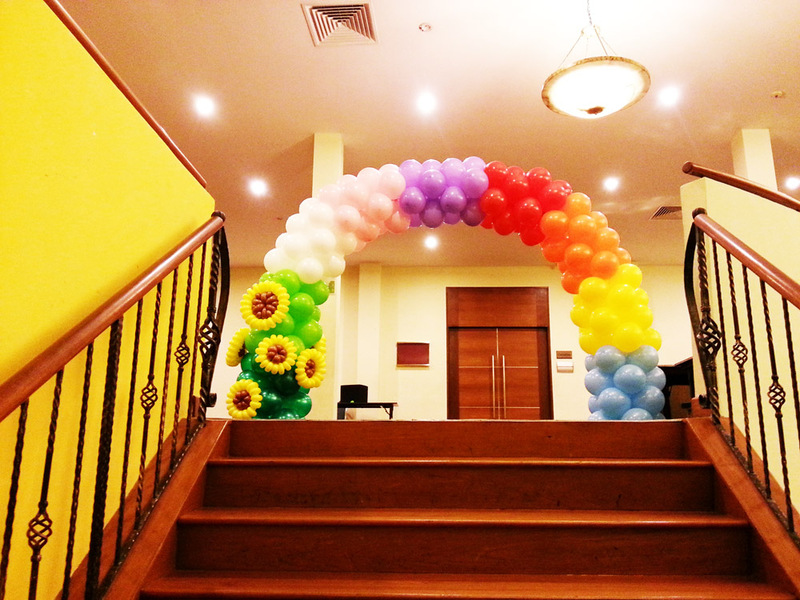 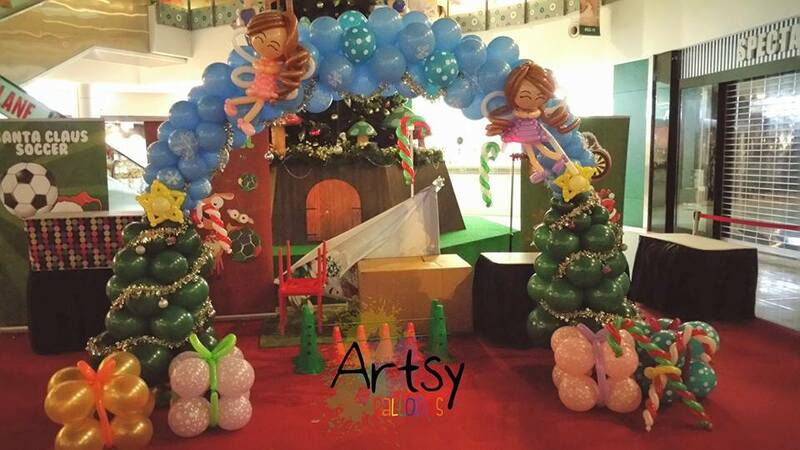 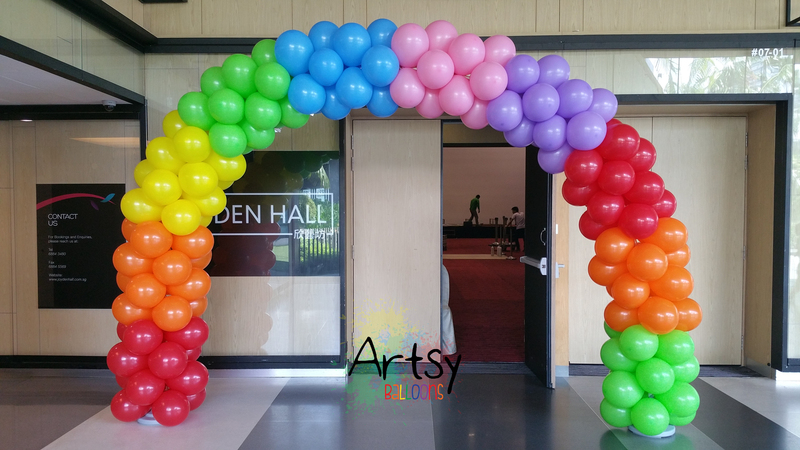 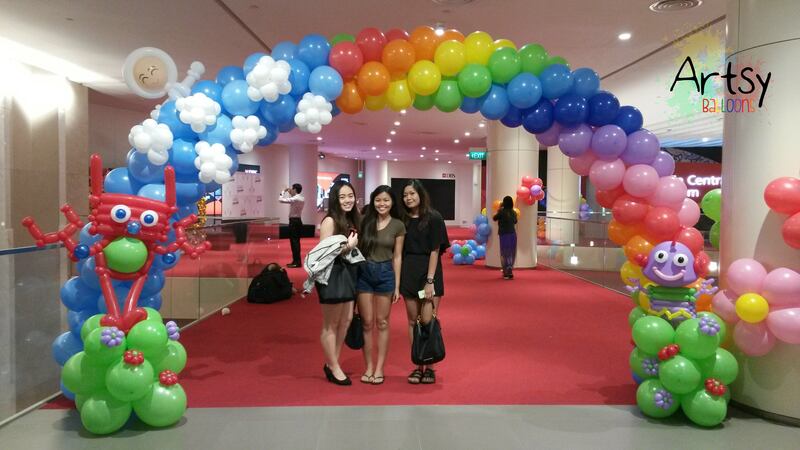 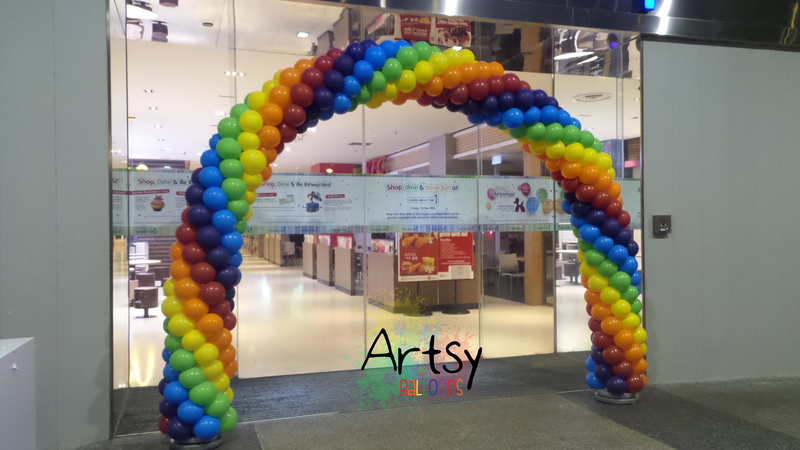 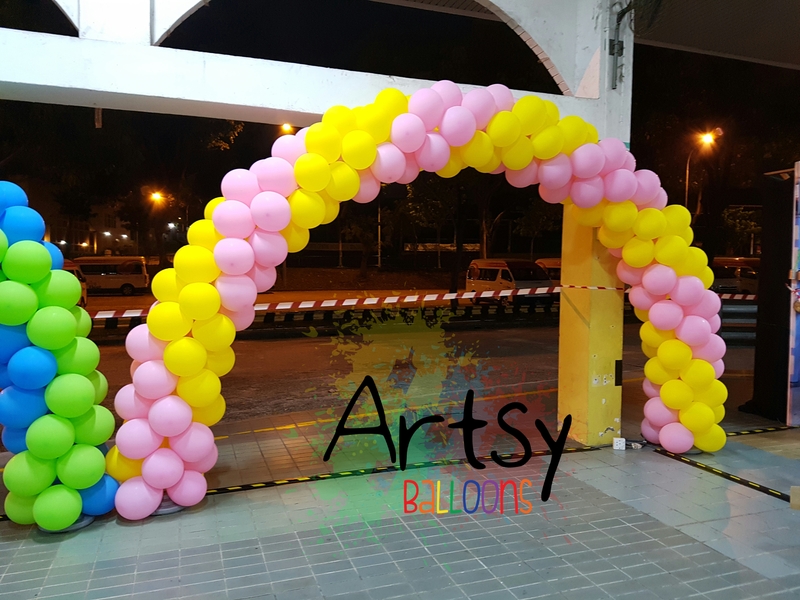 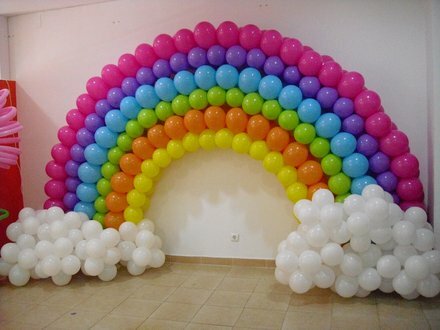 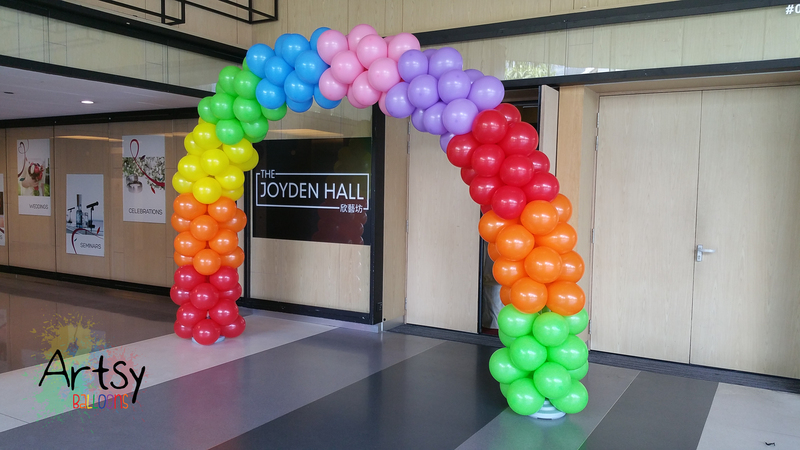 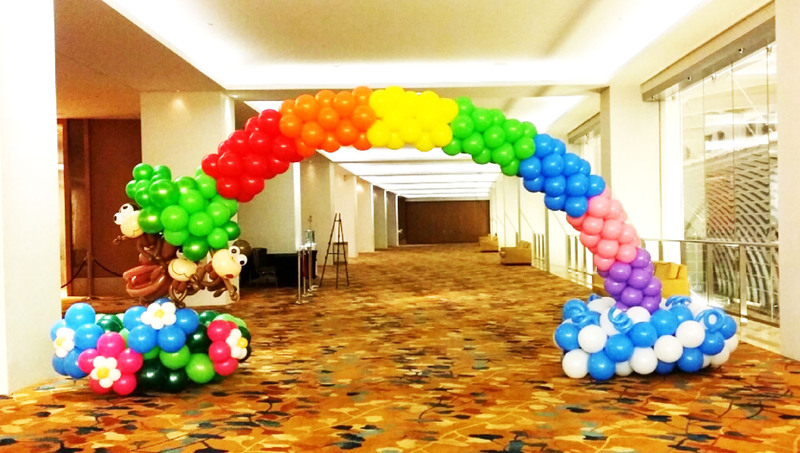 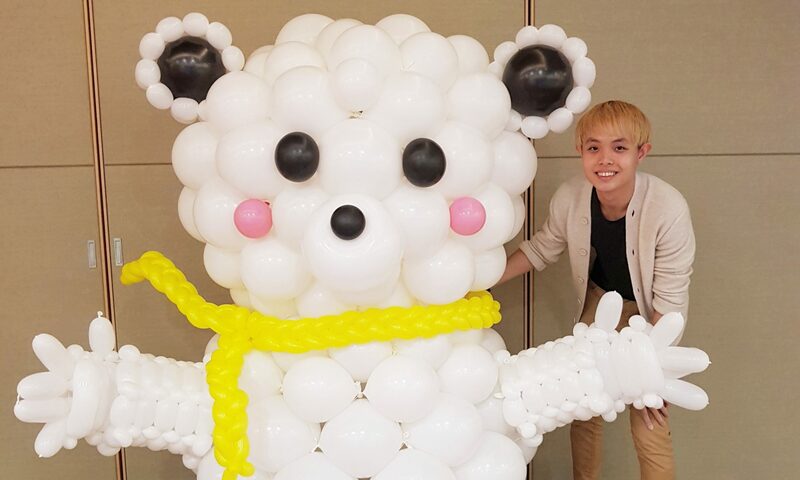 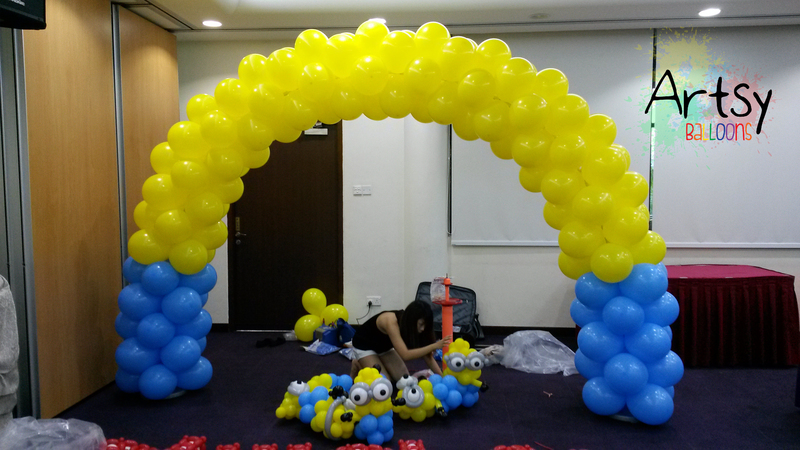 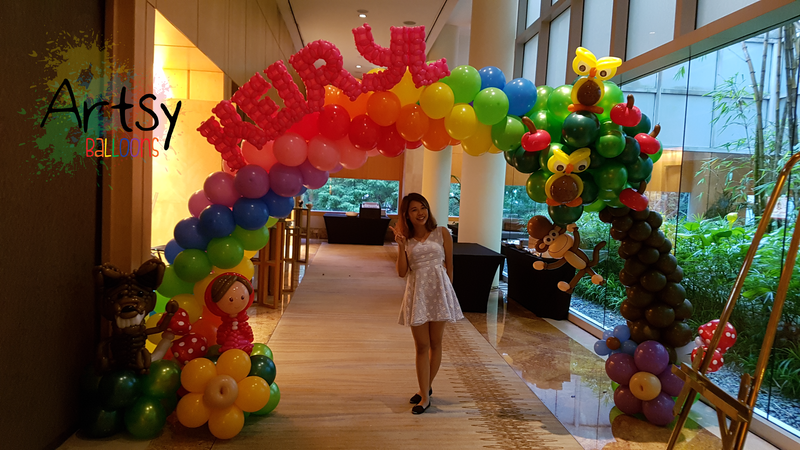 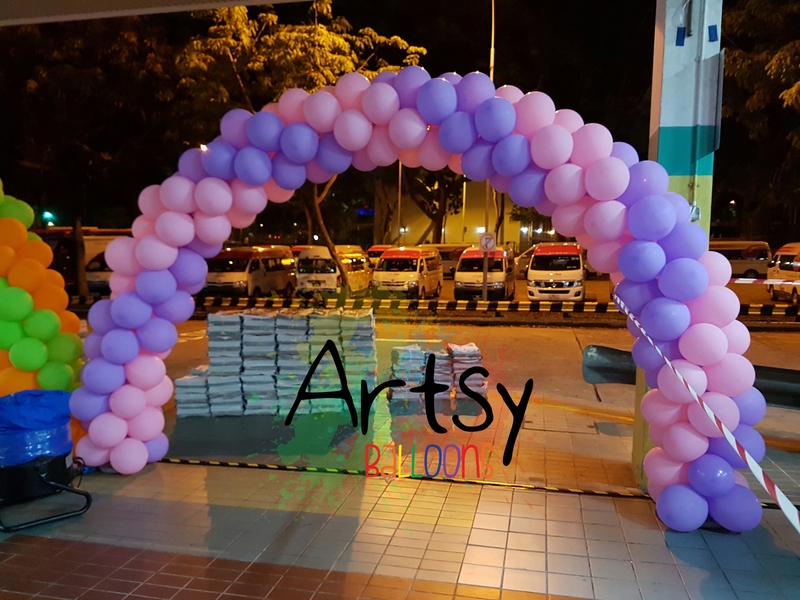 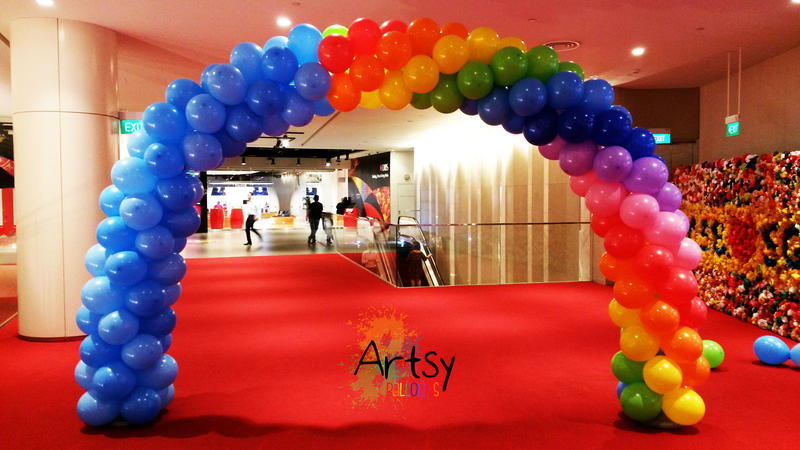 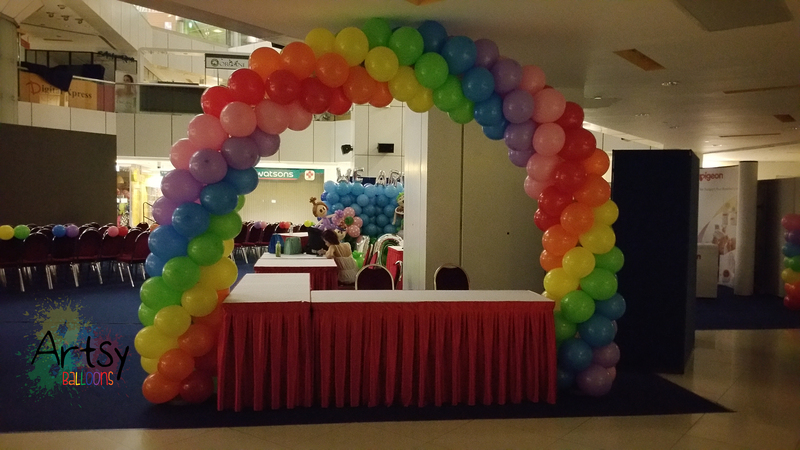 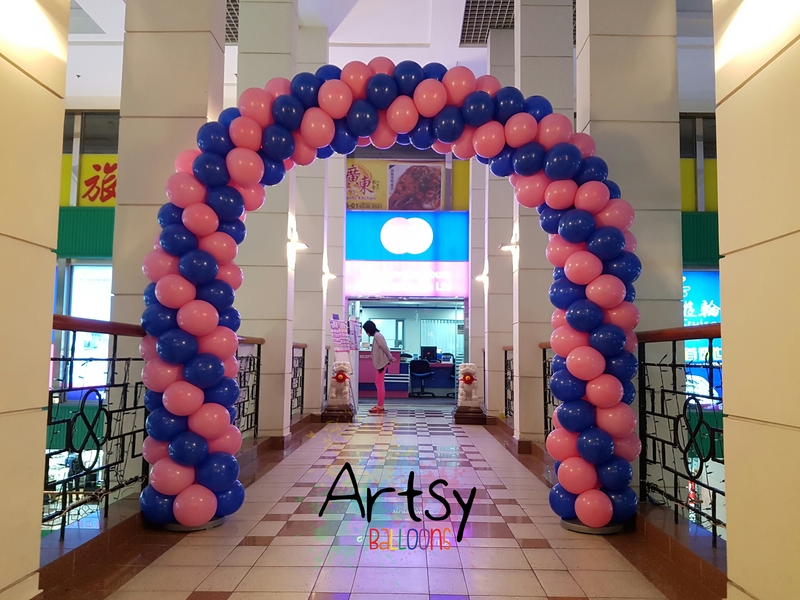 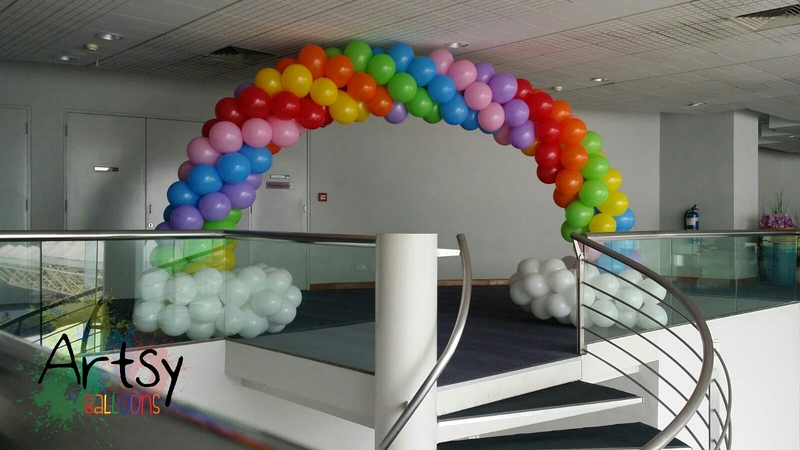 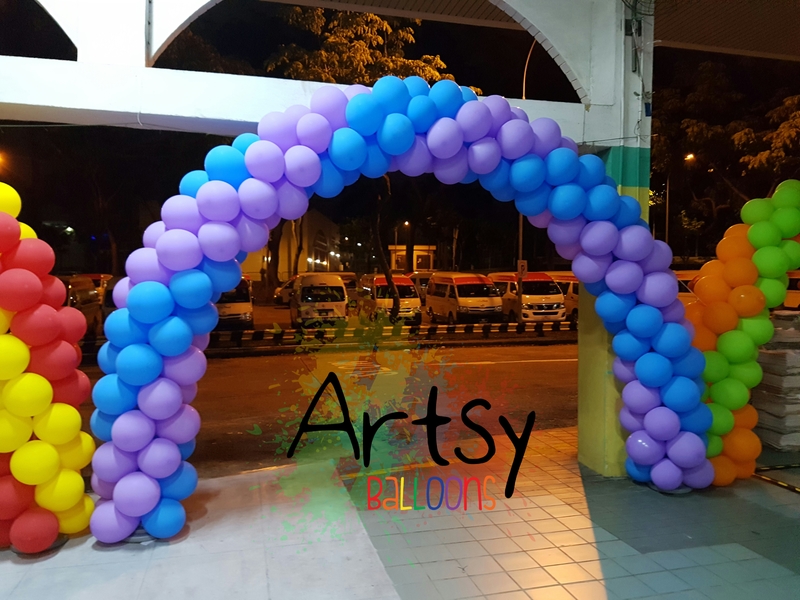 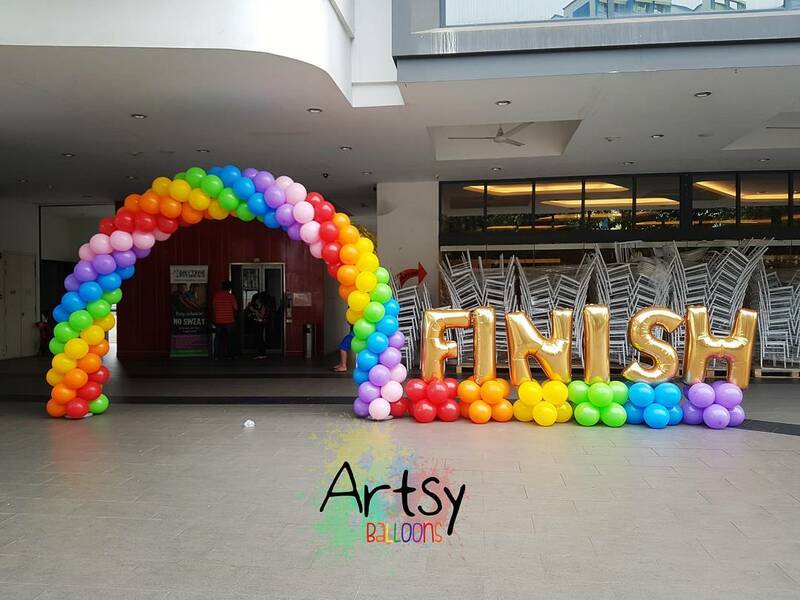 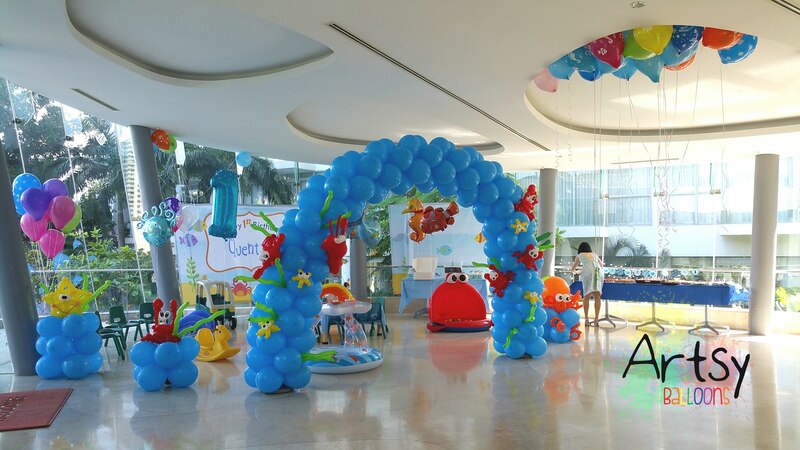 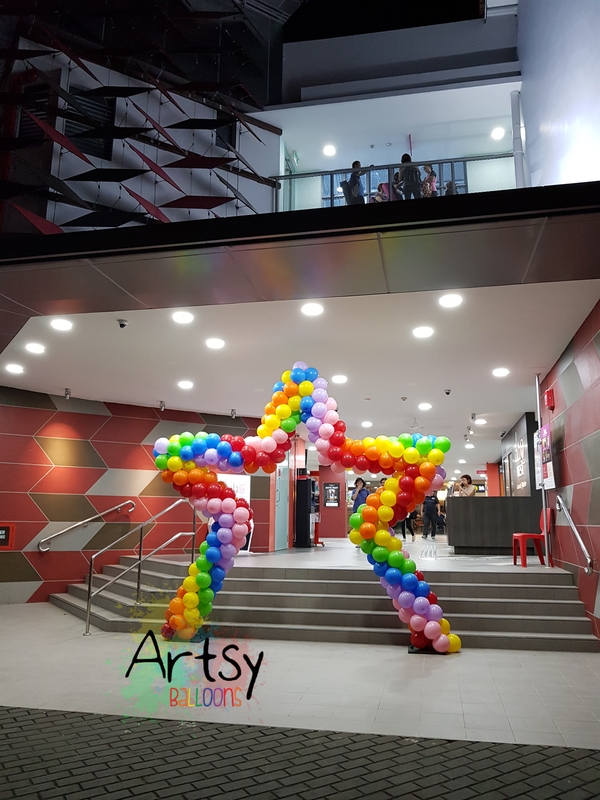 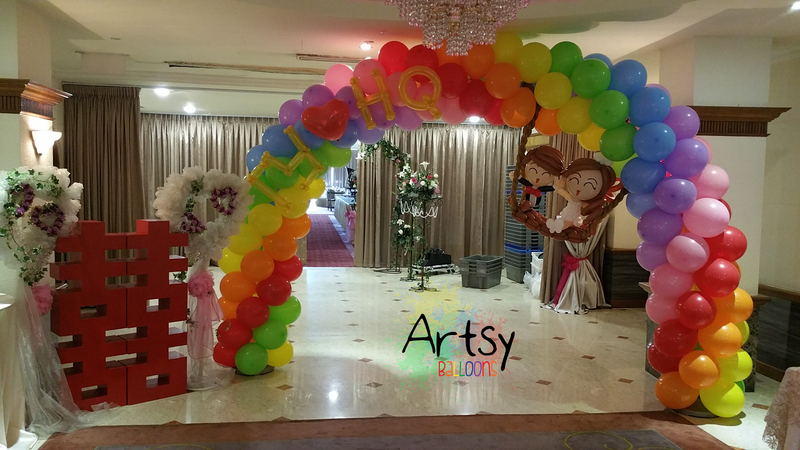 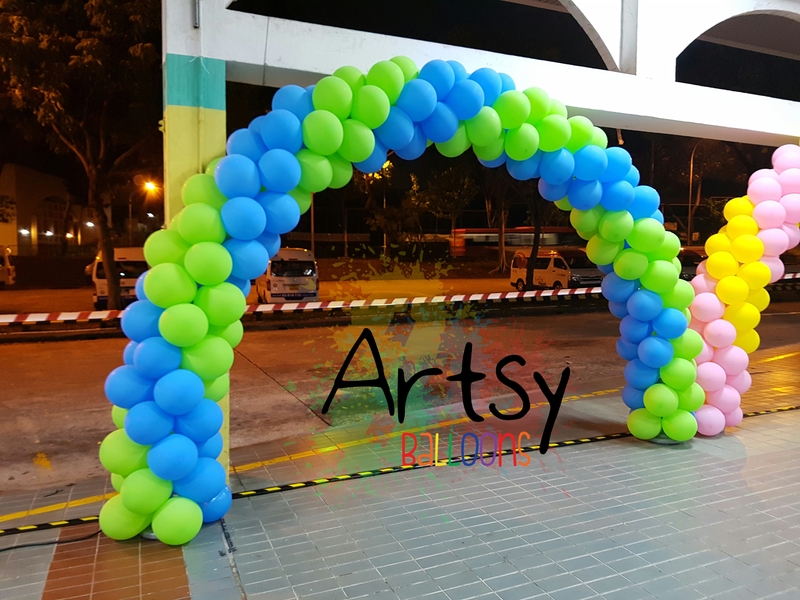 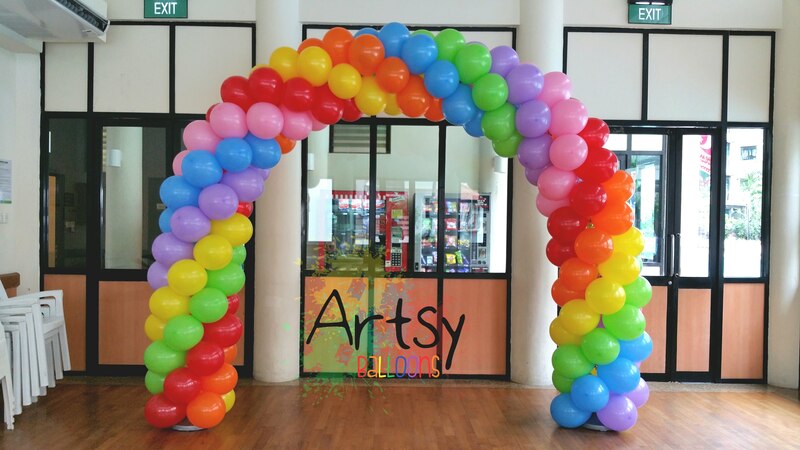 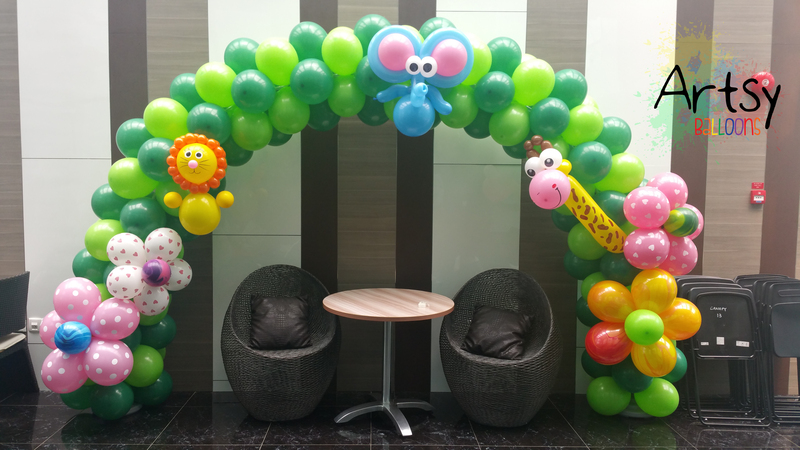 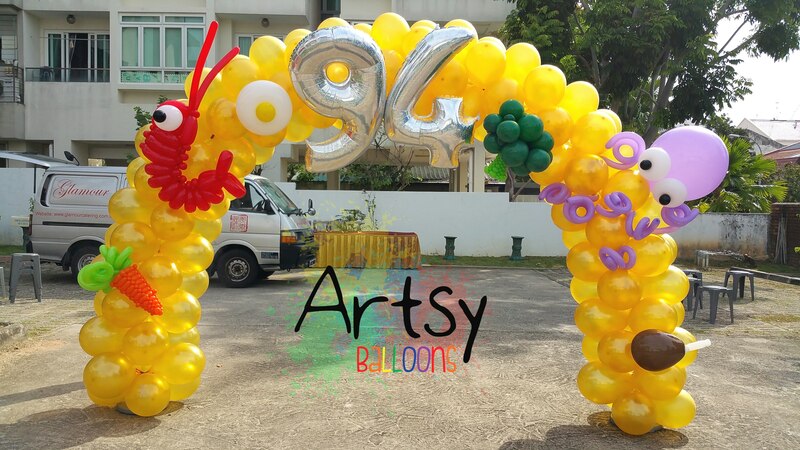 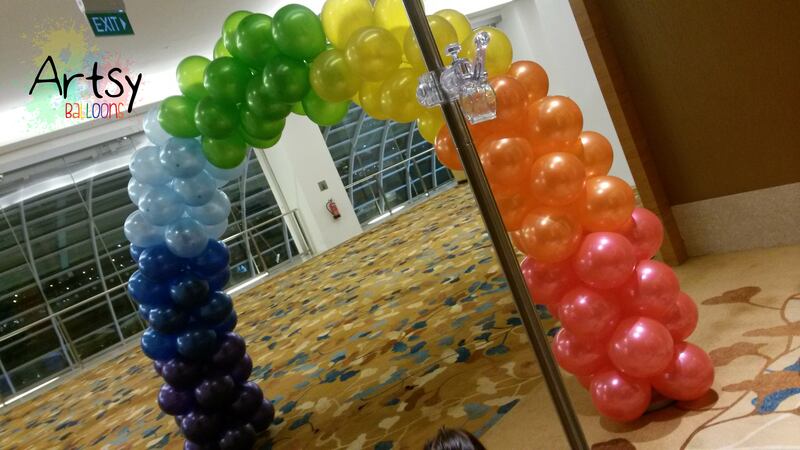 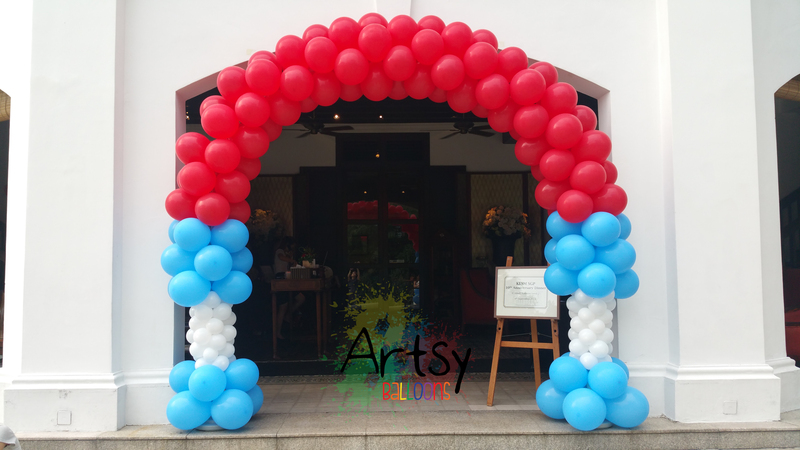 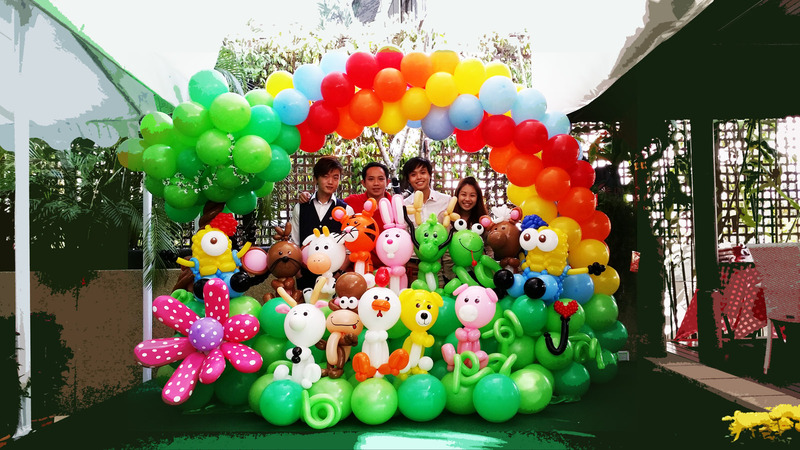 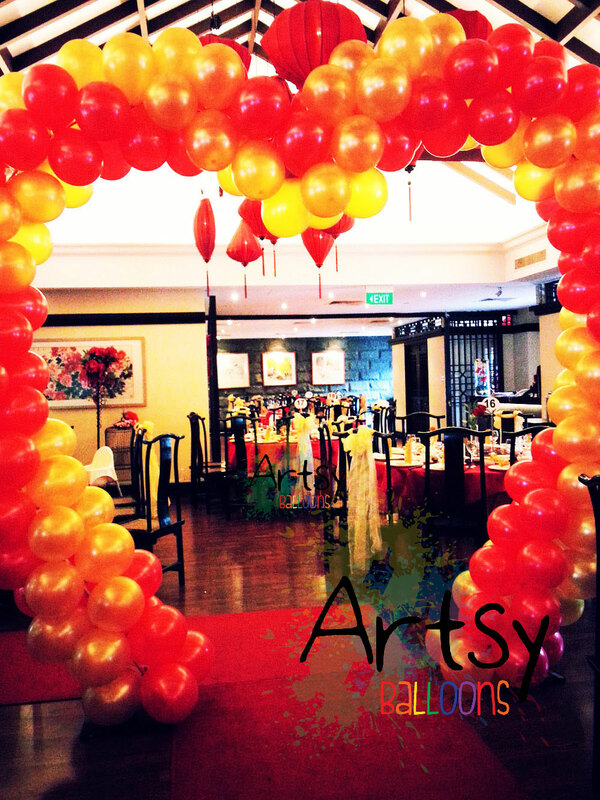 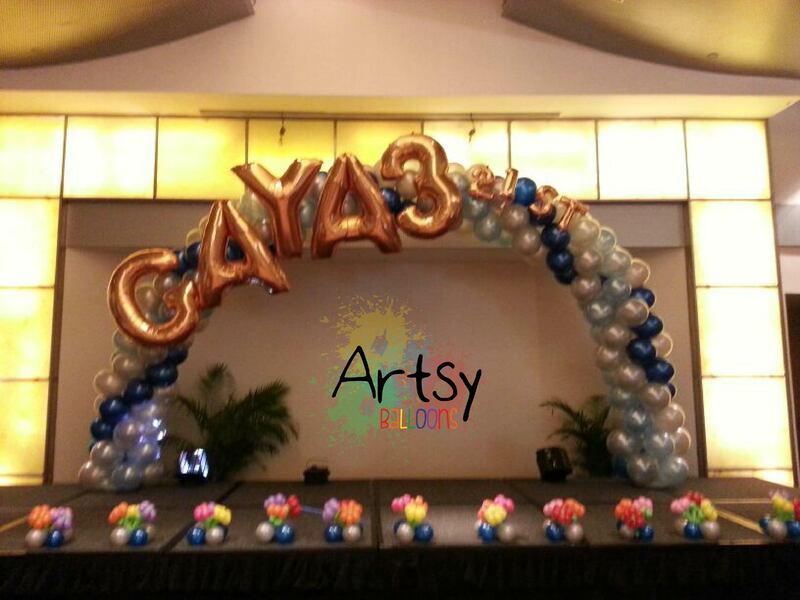 balloon rainbow balloon arch decoration for K2! 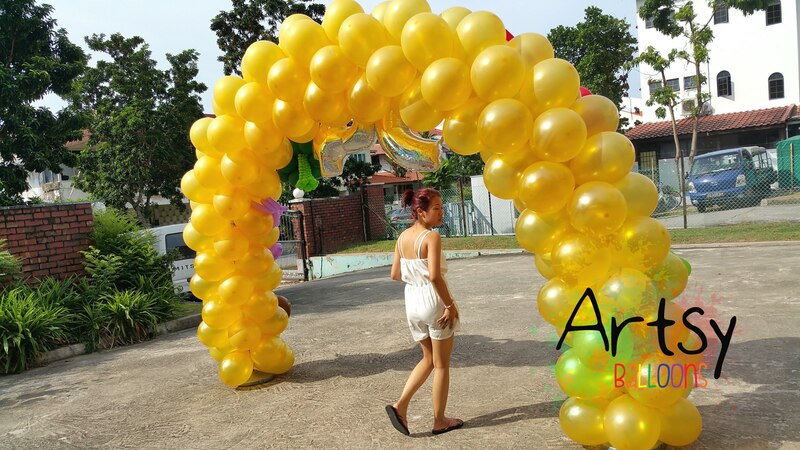 Walking through a Star Arch! 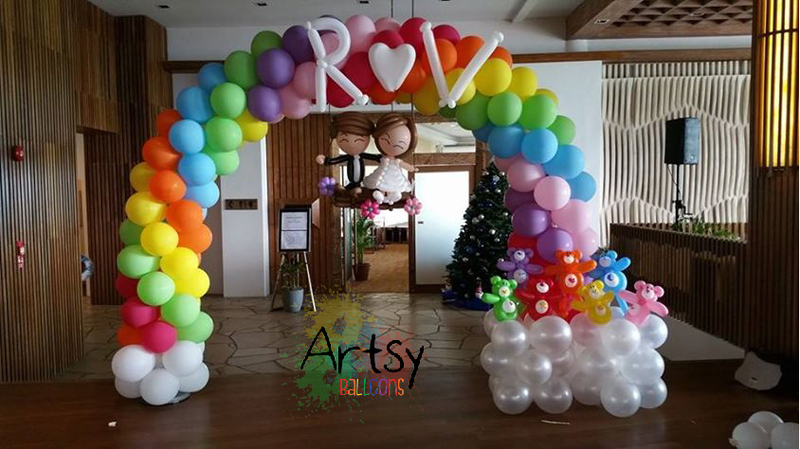 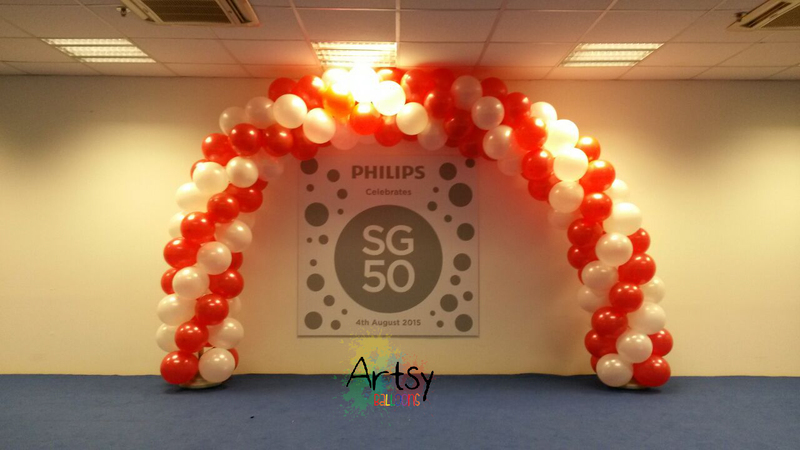 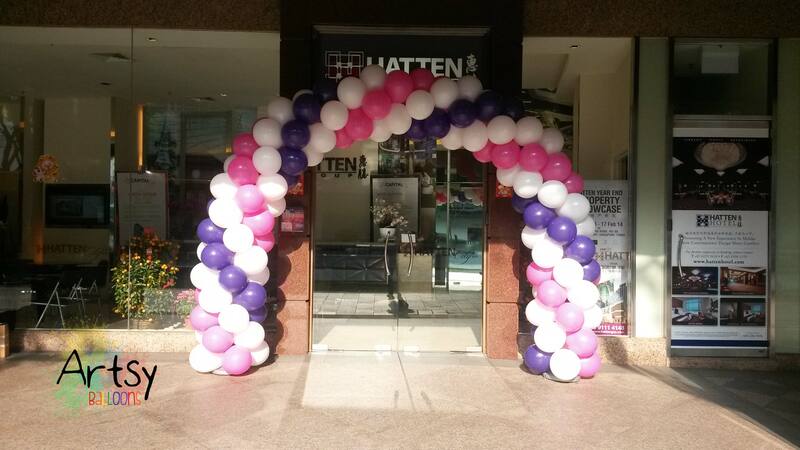 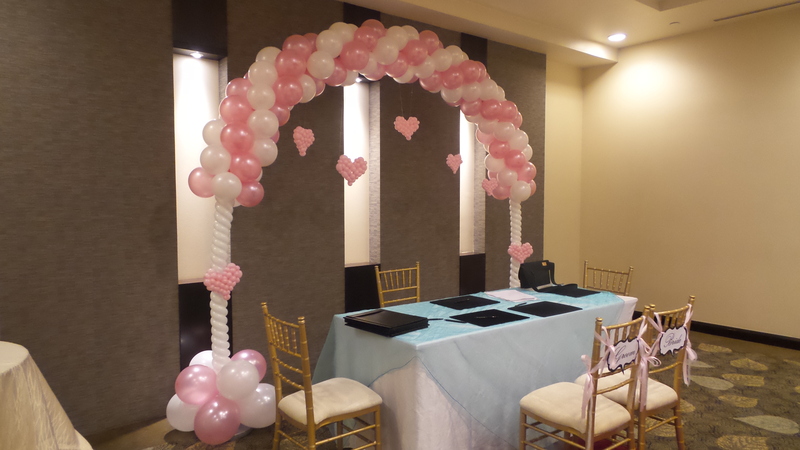 Balloon arch with gift boxes below! 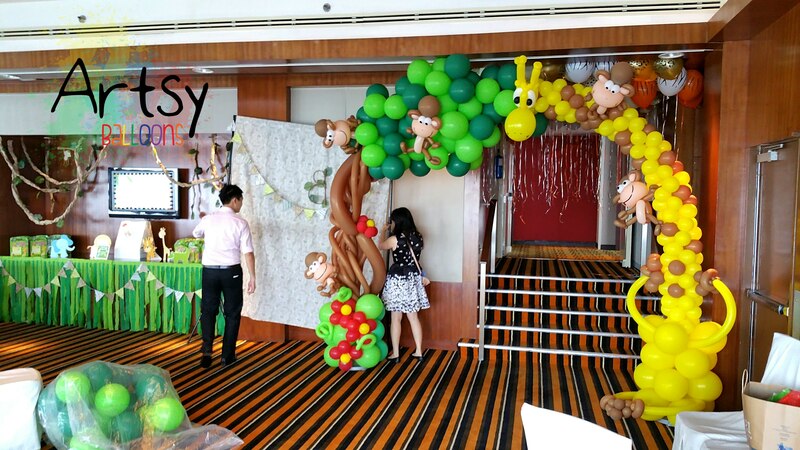 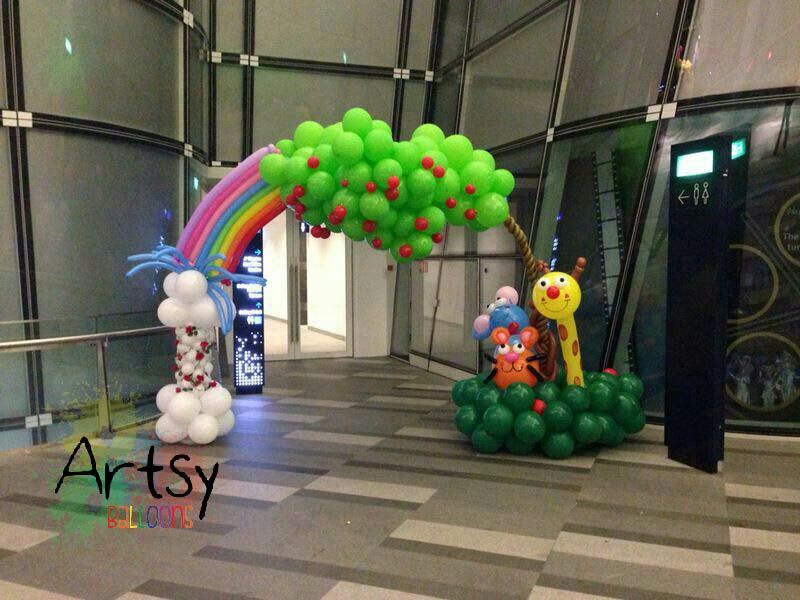 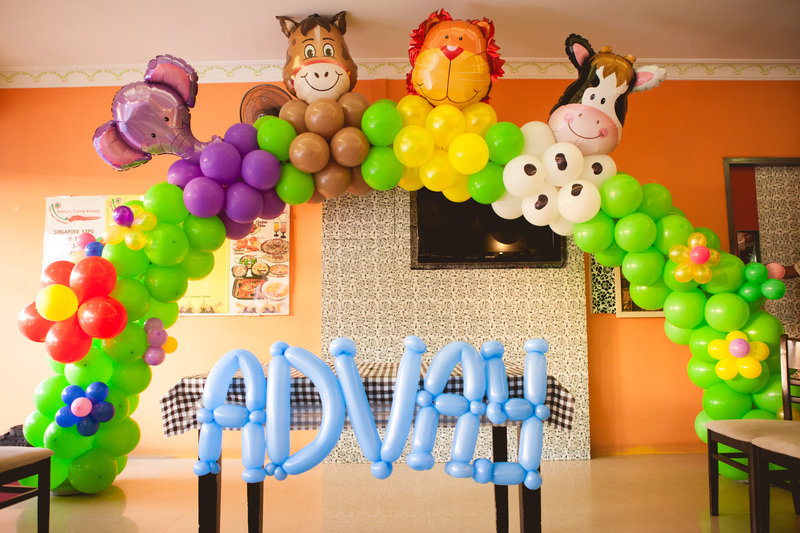 2 trees at the side and a rainbow balloon arch with safari animals like elephants, giraffes, rabbits and monkey! 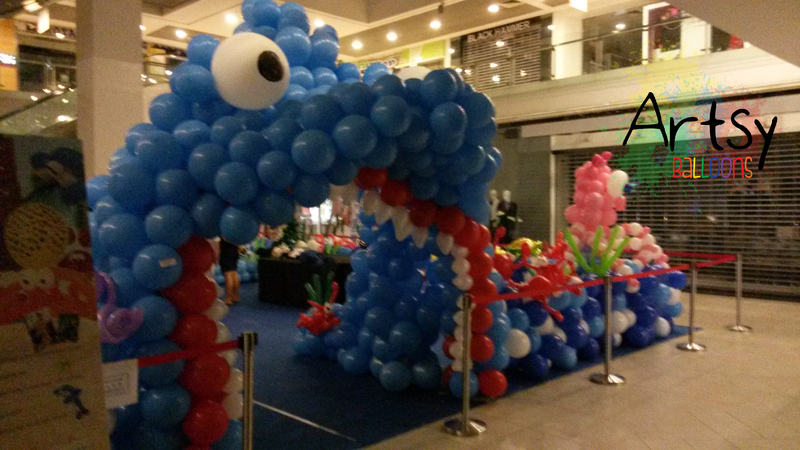 Have you ever walked through a shark’s mouth? 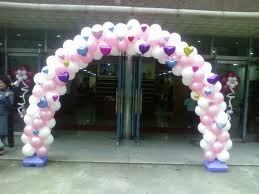 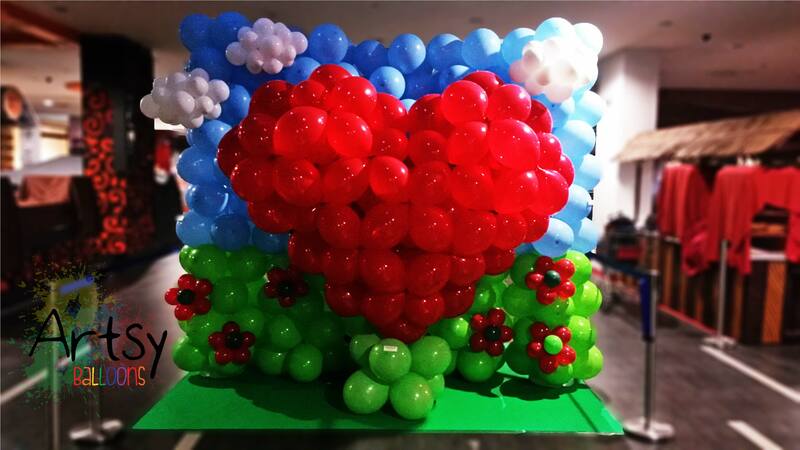 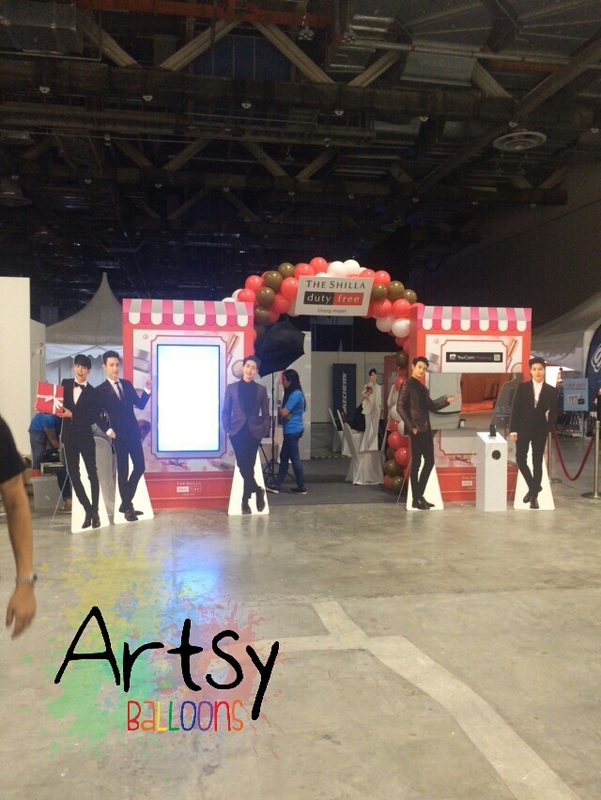 heart shaped balloon arch? 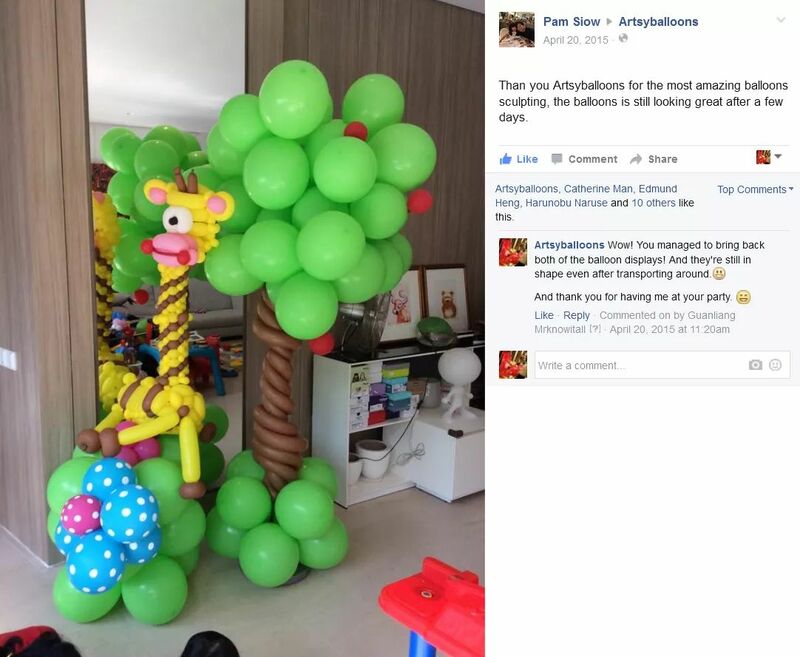 Have you seen it before? 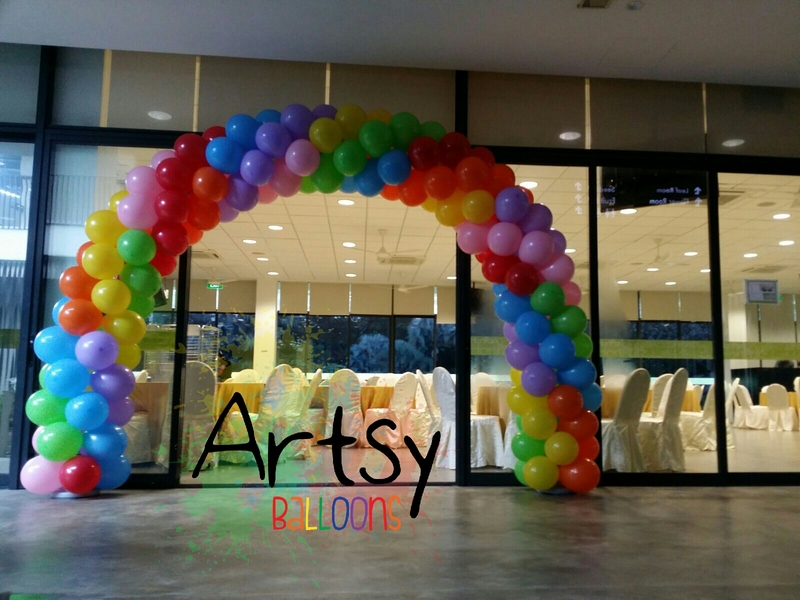 For all weddings and events! 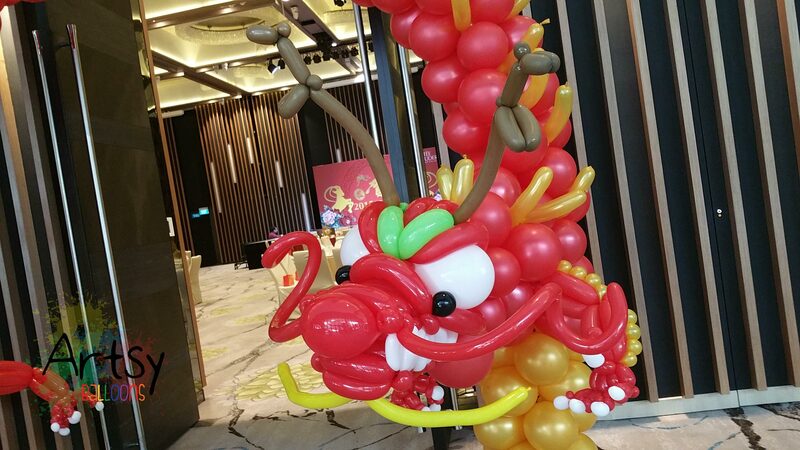 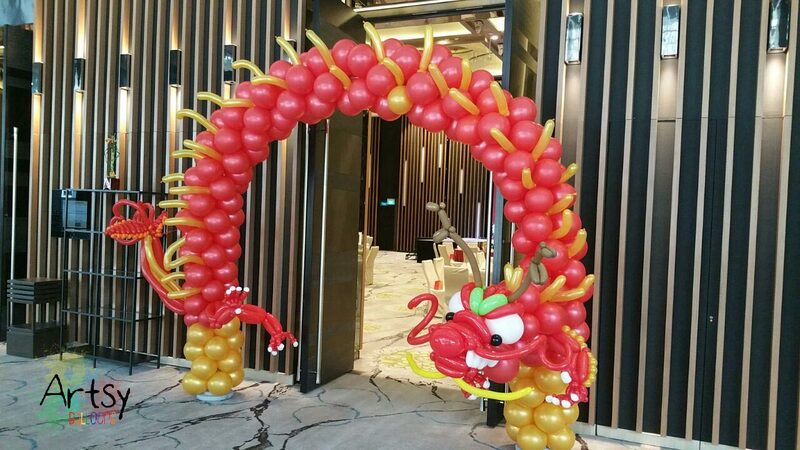 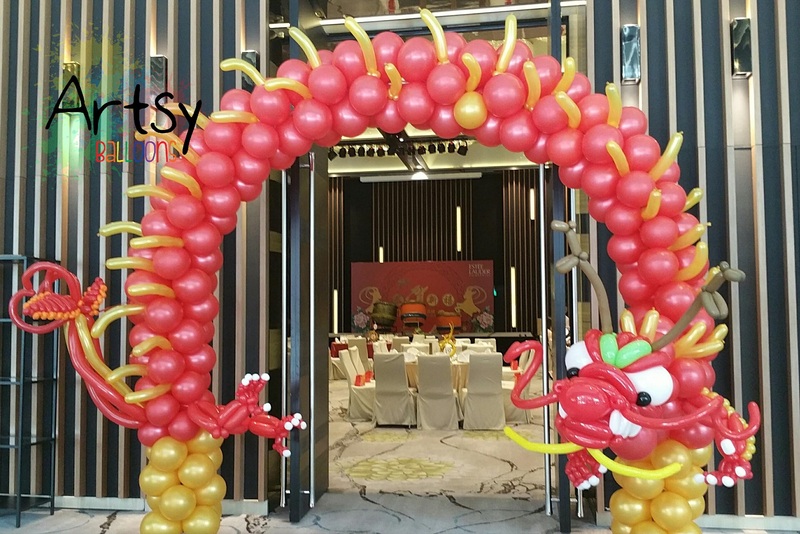 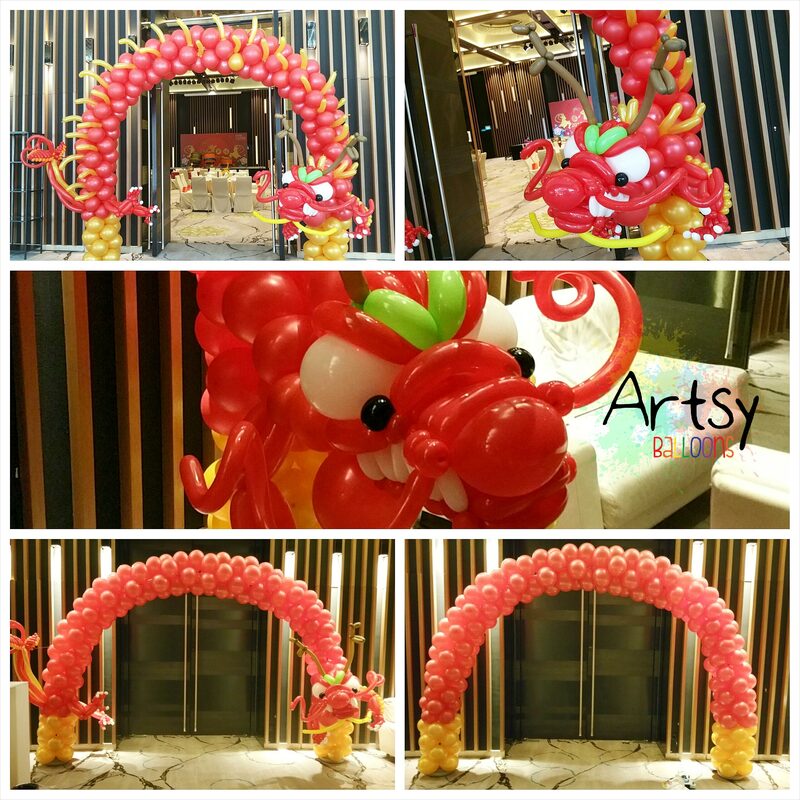 dragon balloon arch to usher in the chinese new year! 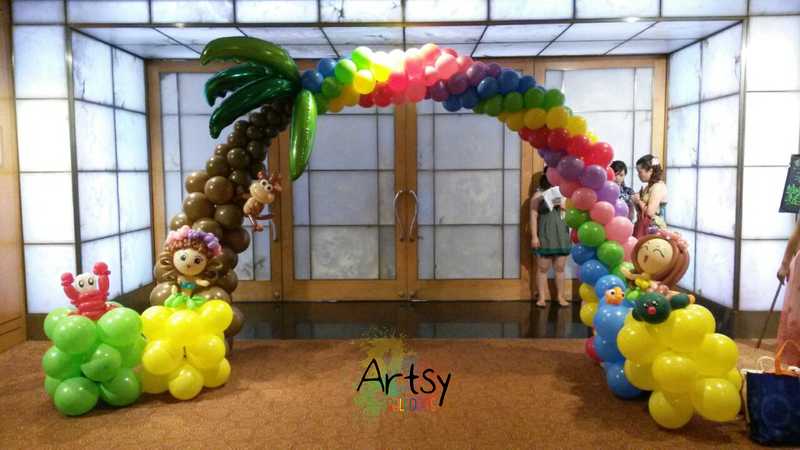 Animal themed arch with trees, rainbow, fountain and with safari animals. 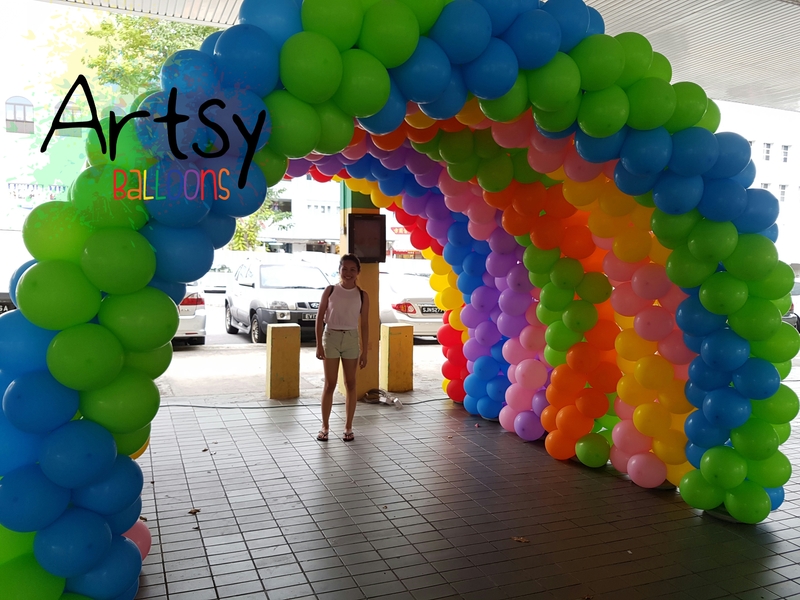 Fully customised rainbow arch that really looks like a rainbow. 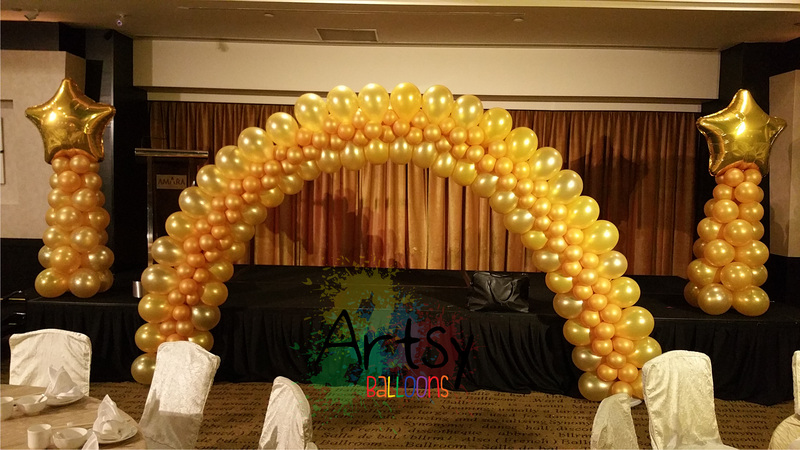 Did this arch for DBS private event! 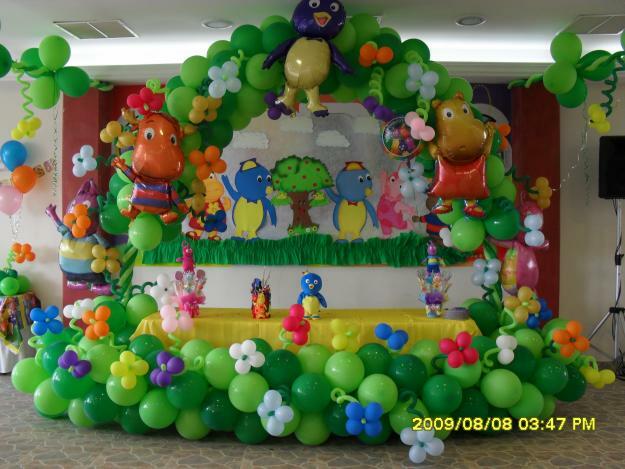 Hope the kids love it!